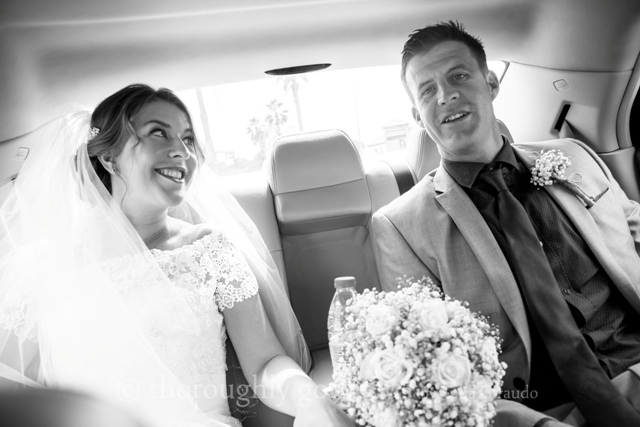 Sinead and Shane had a wonderful wedding day shared with their Family and Friends. 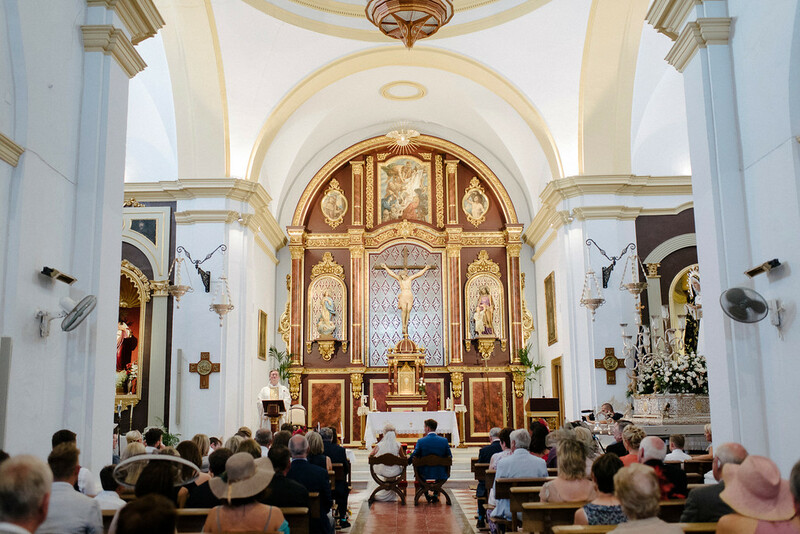 Their day started at Frigiliana Church, Nerja where their 200 guests sat in this beautiful church waiting for them to say I Do. It was a lovely service and this church is truly beautiful. 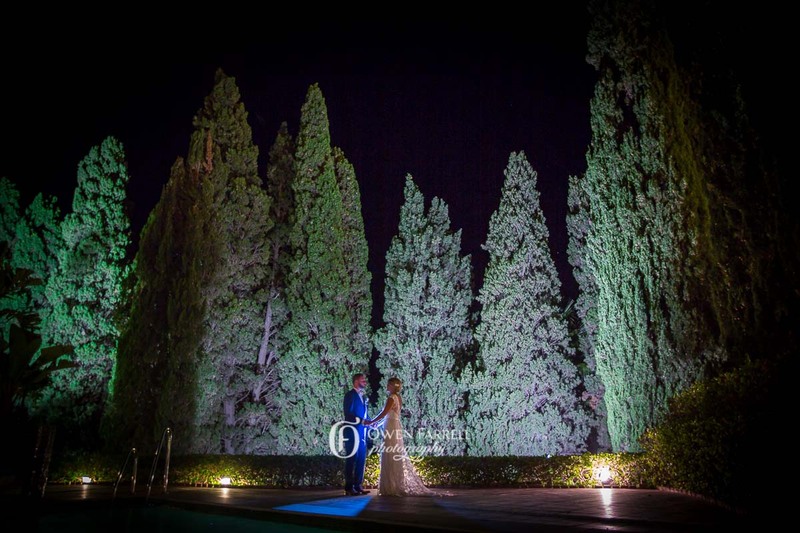 They then moved onto our stunning popular venue Casa De Los Bates for their wedding reception. This venue is simply stunning. 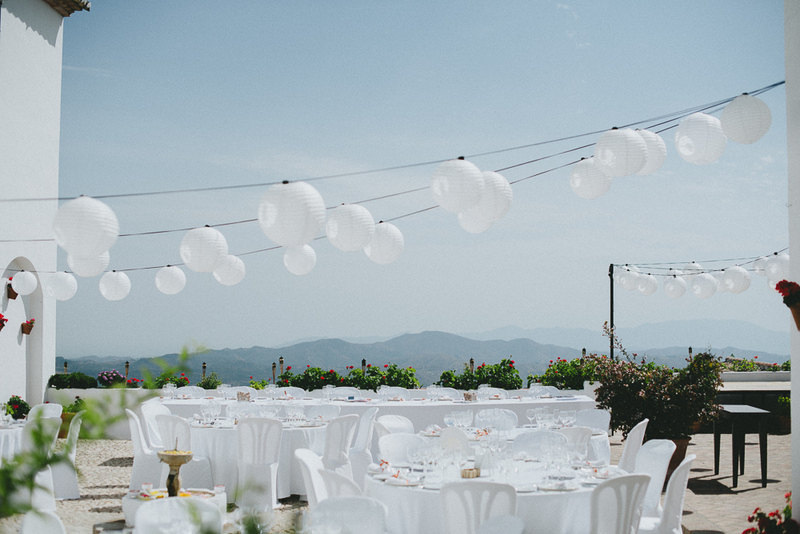 Set in a breathtaking location with the spanish countryside around you whilst overlooking sea views of Rincon de la Victoria you can see why people choose to get married here. This hotel is family run and has so much to offer. 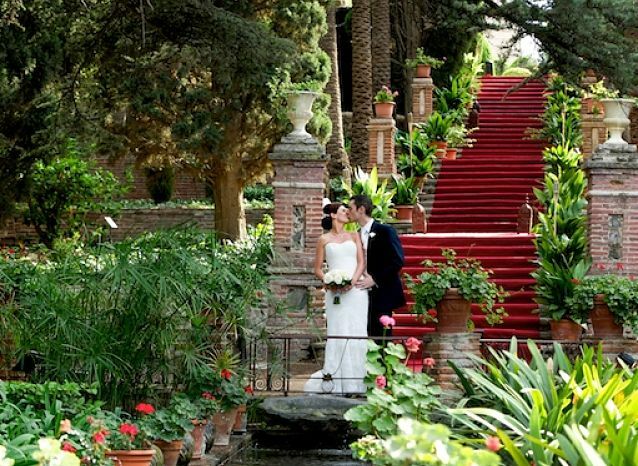 With beautifully landscaped gardens perfect to get some amazing photos. You can have your ceremony in the gardens if you wish and then your wedding reception outside too, to make use of the wonderful backdrop. You guests will enjoy a scroll around the property whilst taking in the views with a drink in their hand. 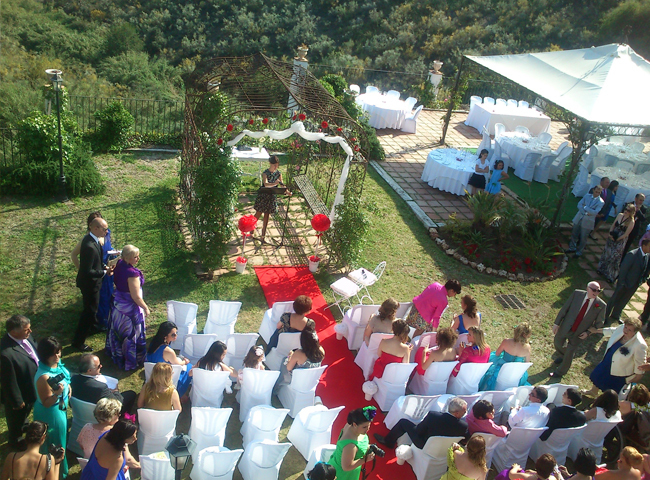 It can accomodate small intimate weddings or large weddings. And has many bedrooms to look after your guests. 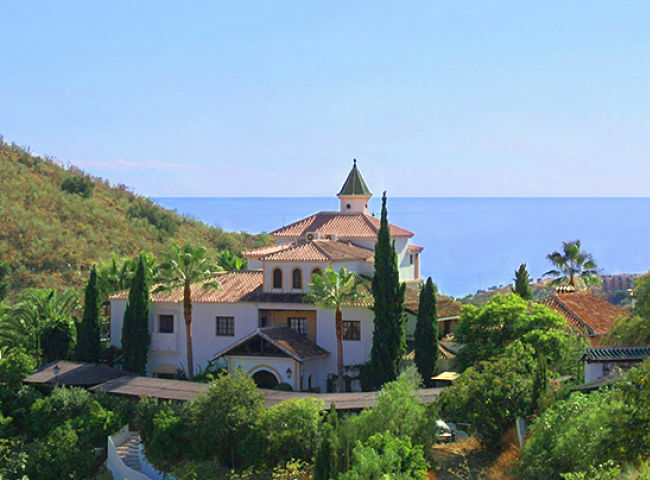 Rincon de la Victoria is on the east coast of Costa Del Sol. It has 9km of glorious beaches to make us of plus a large golf course if you fancy it. With plenty of restaurants to choose from you will be spoilt for choice. 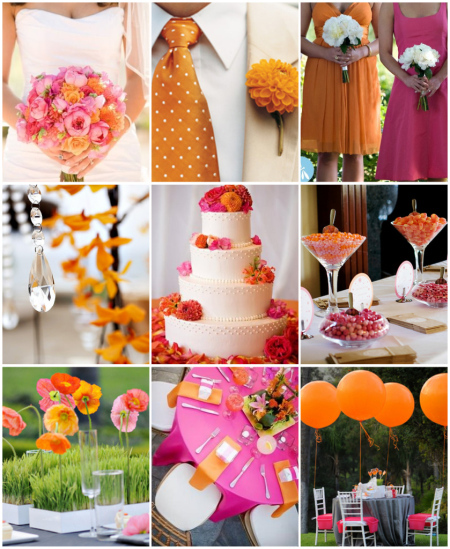 As we start to get close to the end of 2016 its time to think about those amazing colours that will be on trend for your up and coming 2017 wedding. It is exciting times ahead for all you lovely couples that will be tying the knot next year and I hope your wedding planning is going well. There is some lovely colours for next year and combining a more vibrant colour with a softer shade seems to work so well and offers a real WOW factor. 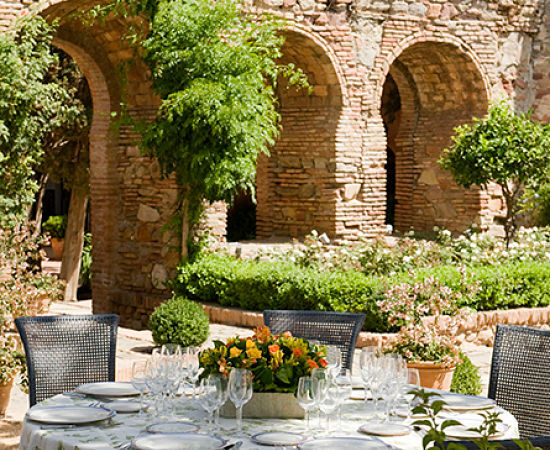 Choosing the right wedding venue in Spain can be hardwork as after all there are so many lovely options over there. 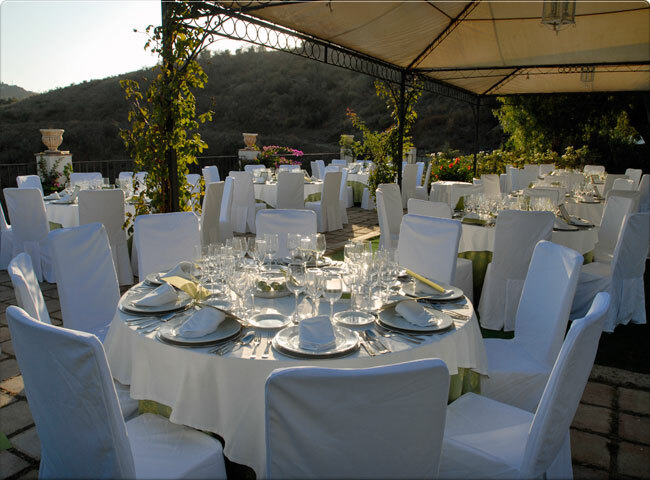 We have many different types of venues from Spanish Countryside to Castles to restaurants, all offering something different. 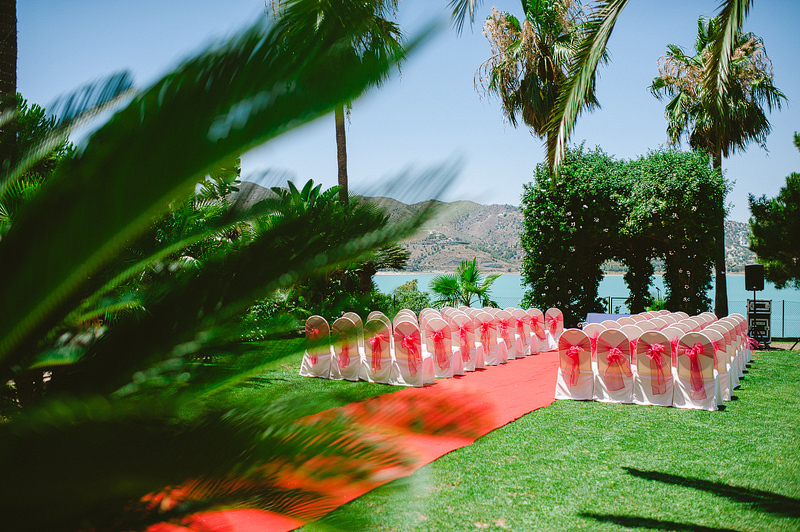 Todays Blog is all about a stunning typical Spanish Hacienda Venue, this beautiful venue is beachfront so you have the option of getting married on the beach or on the venue grounds. This Boutique Beach Hotel is 30 metres from the beach, so sea views all around you. 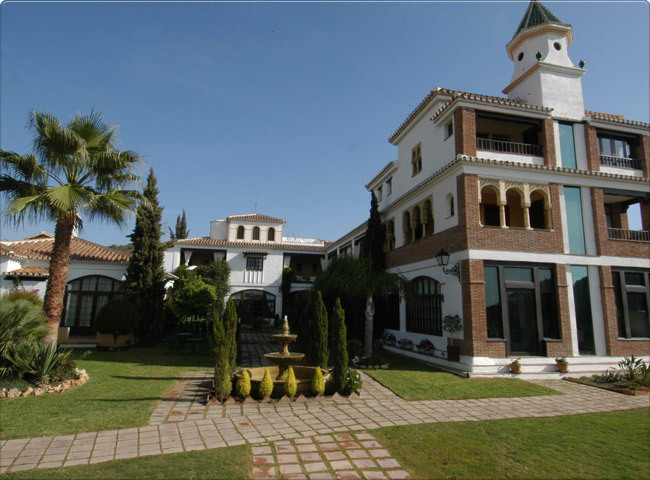 With 9 bedrooms to choose from it makes it perfect for your guests to stay onsite but also being close to Torre Del Mar where there are many other hotels for other guests if need be. 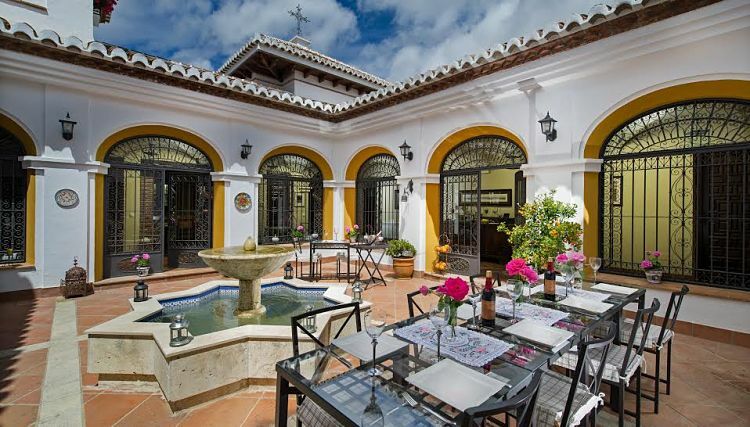 Torre Del Mar, Malaga is a popular tourist destination on the East coast, It has plenty of bars and restaurants and with a stunning esplanda that follows the coast to the Marina of Calenta de Velez. 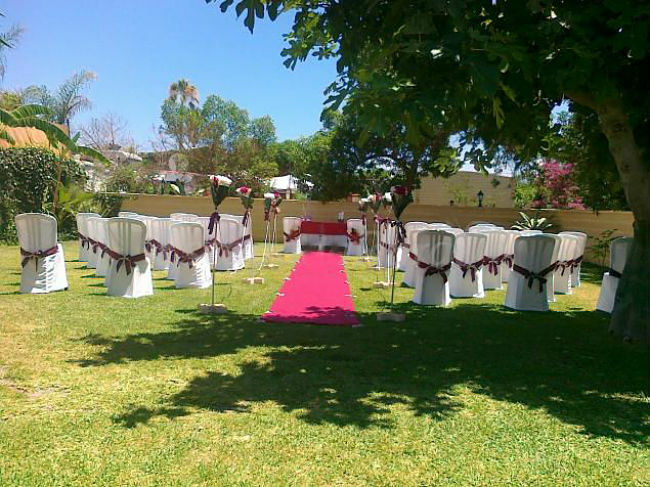 The hotel has large landscaped grounds that are perfect to have your wedding reception in and can accomodate over 100 guests. 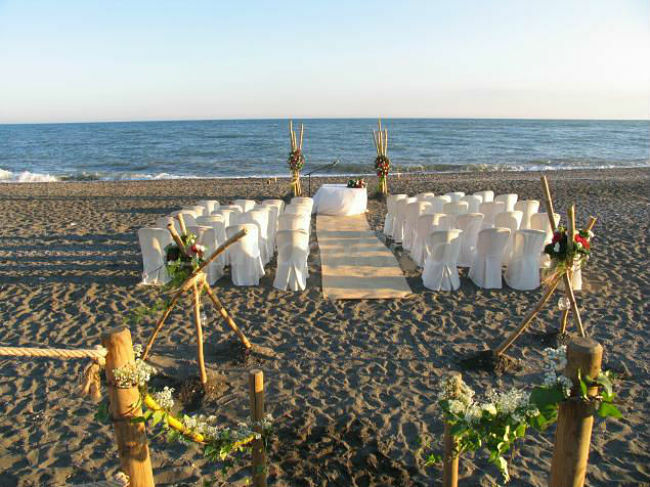 This is truely an amazing beachfront venue and you can see why our customers choose to have their wedding in Spain here. 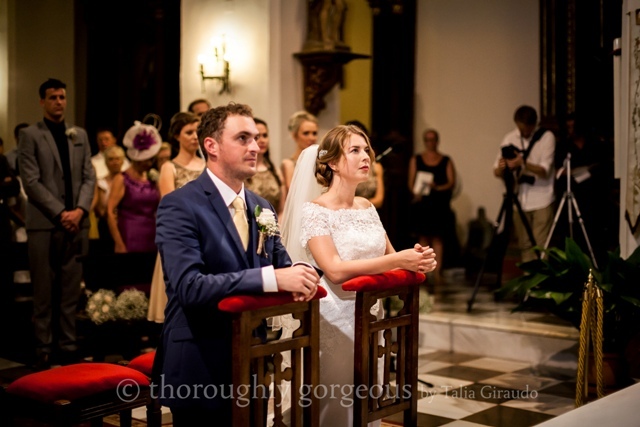 Michelle and Cian has a wonderful wedding day in Sunny Spain. Filled with laughter, happy tears and memories to last a lifetime. 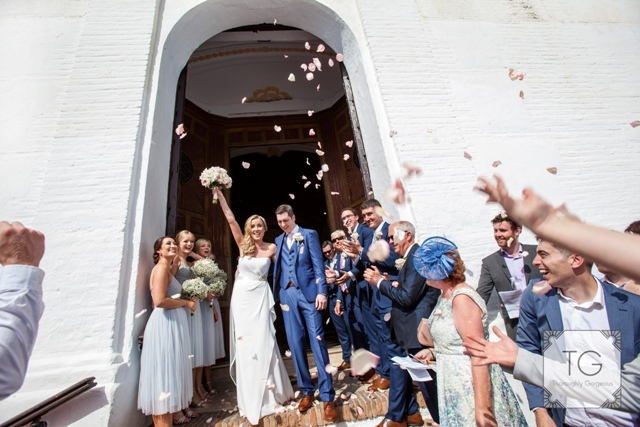 Their day started at our stunning Frigiliana Church, this church is set in a typical Spanish village with amazing views. 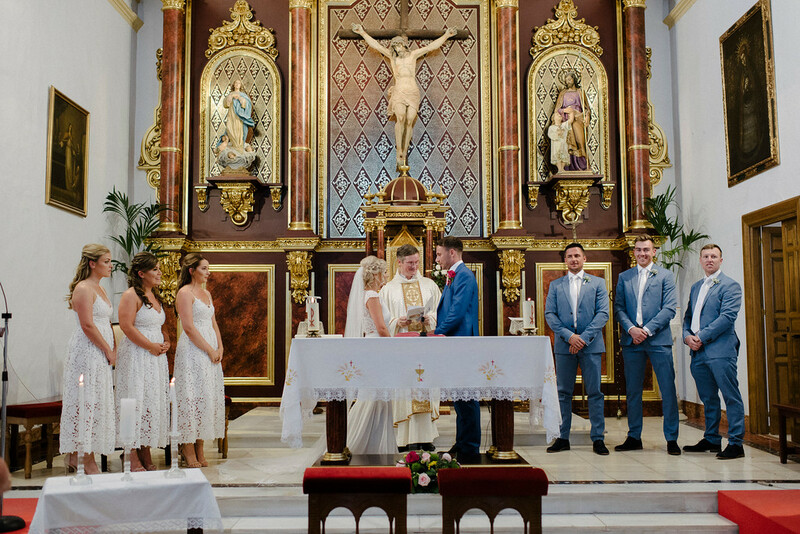 The interior and exterior decoration of the church is beautiful and you can see why Michelle and Cian chose to have their wedding ceremony there. 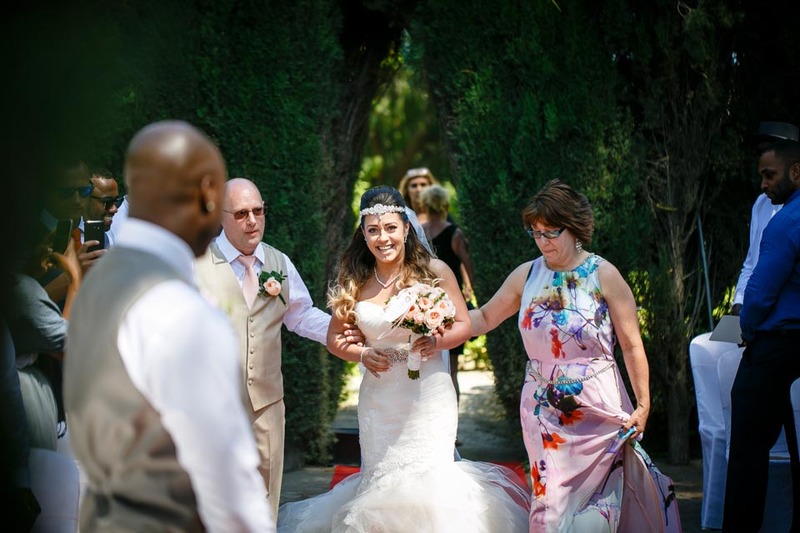 Michelle, Cian and their wedding guests then continued the celebrations at our very popular Cortijo Bravo Venue for the wedding reception and to dance the night away. 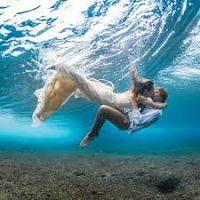 Trash the Dress.... Will you be doing it? 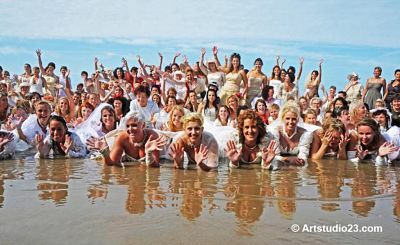 It seems to be a growing trend of brides trashing their wedding dresses in a photo shoot. But will you be doing it? 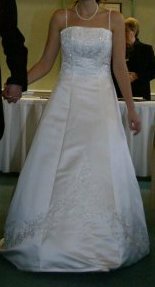 I have to say I still have my dress in my loft 11 years later - yes it just sits there but I do sometimes think about maybe should I do a trash the dress photoshoot for one of our big anniversaries. As it does make some AMAZING photos and you can be so creative with it. It is a growing trend all around the world now and started back in the USA in the late 90s. 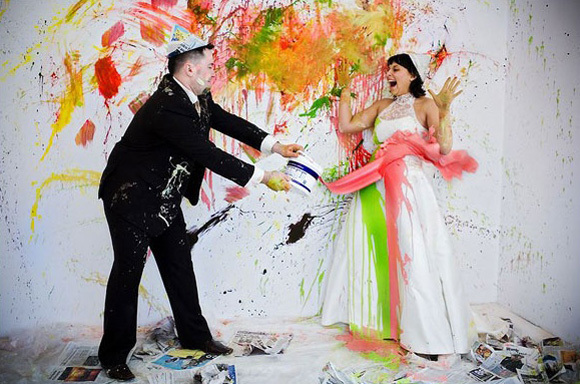 With so many different ways of trashing your dress and it doesnt always have to be that you ruin your wedding dress as it depends on how wild you want to be, from inwater/underwater photo shoots, to paint fights or a photo shoot at a muddy farm you can be so creative and its a lovely way to show yours and your partners personality. 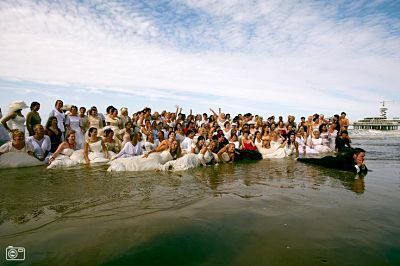 The trend has got that big that back in September 2009 they staged a huge Trash the Dress event on a beach in the Netherlands and this then happened in 2010,2011 and 2012. Now I think this would have been a great experience and so much fun. So in the name of Art - will you be Trashing Your Dress?? 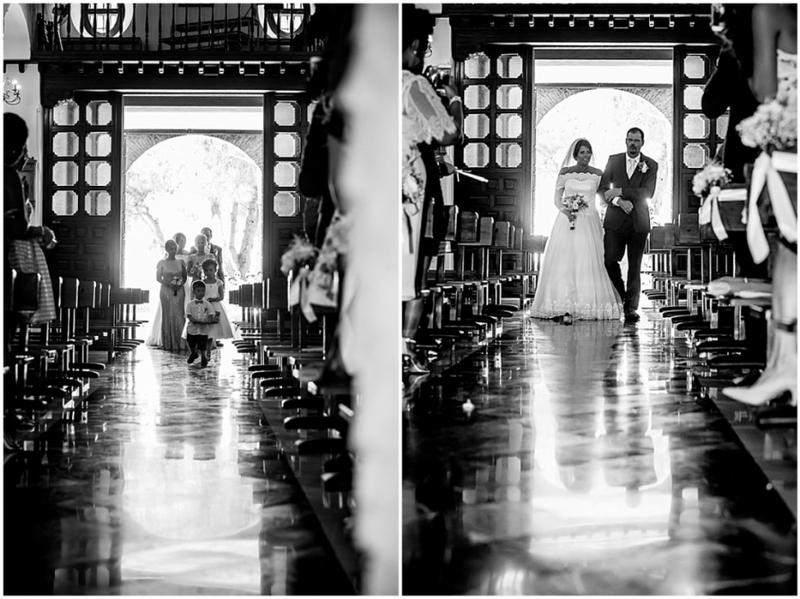 Karen and David chose our beautiful Casa De Los Bates Venue for their Wedding Day. It was a lovely day shared with their Family and Friends. 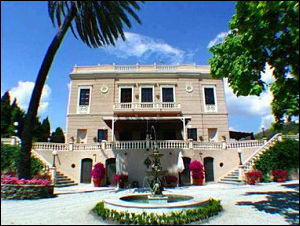 Casa De Los Bates its a beautiful Venue, with breathtaking views of the Spanish Countryside and the Mediterranean sea. maybe a family or close friend is from that country and you wanted to bring their traditions into you wedding celebrations. Armenian: Before the bride dons her veil she circles it above the heads of the single ladies in her dressing room to bring them luck in finding a husband. 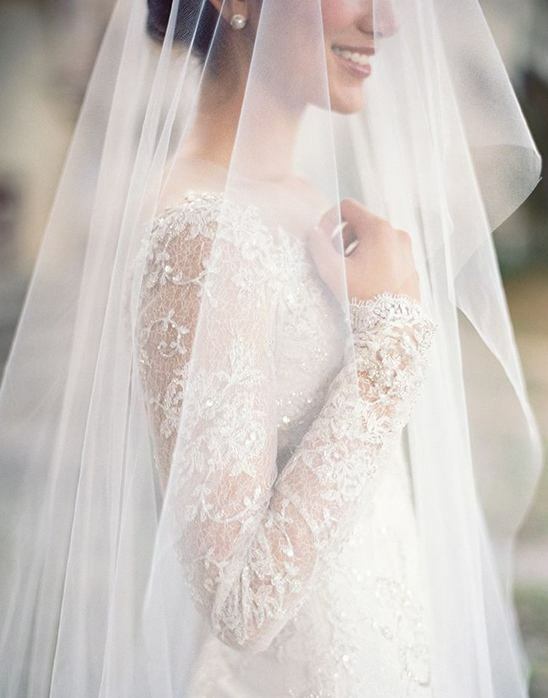 Then a happily married woman will place the veil on her head to bring the marriage luck. 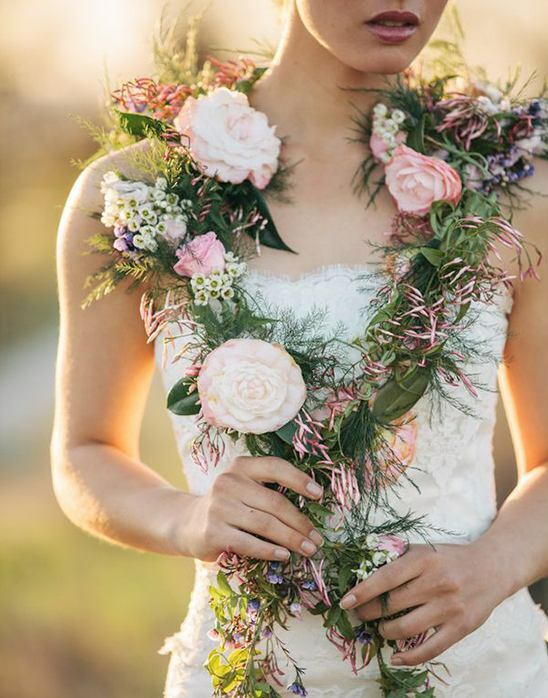 Czech: Traditionally the bridesmaids make a wreath of rosemary for the bride to wear, it symbolizes the wish for wisdom, love, and loyalty. Not only is this sweet, but super cute! 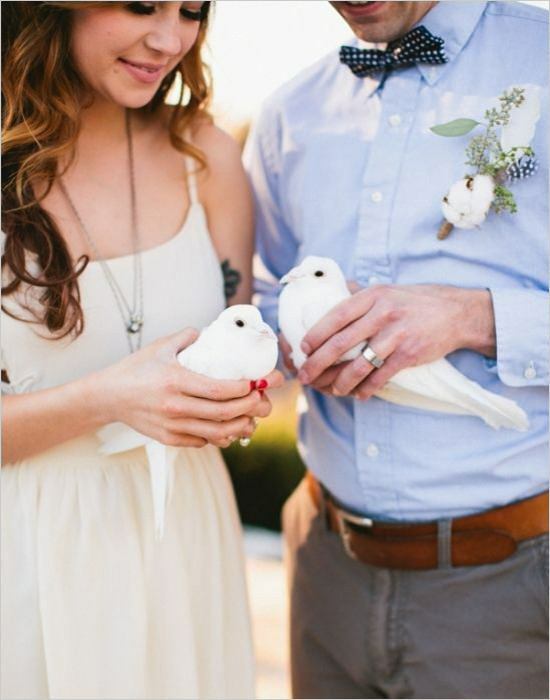 Filipino: At traditional Filipino wedding receptions, the bride and groom release two gorgeous white doves to represent a long, peaceful, and harmonious life together. 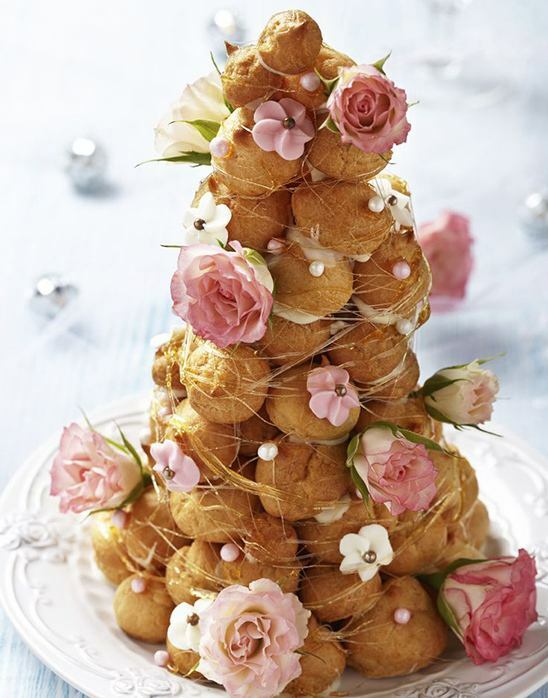 French: The widely known layered wedding cake originated in France, but less well known is the croquembouche, a pyramid of crème-filled pastry puffs covered in a caramel glaze. 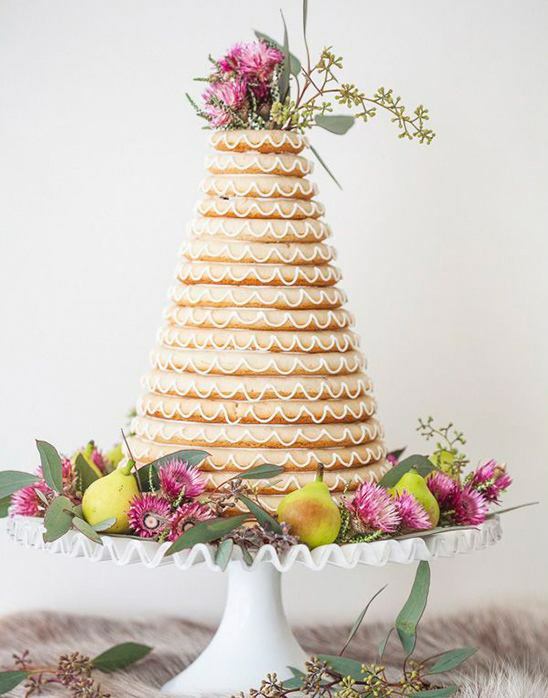 If the bride and groom can kiss over the pastry tower without knocking it over, then they would have a lifetime of prosperity. 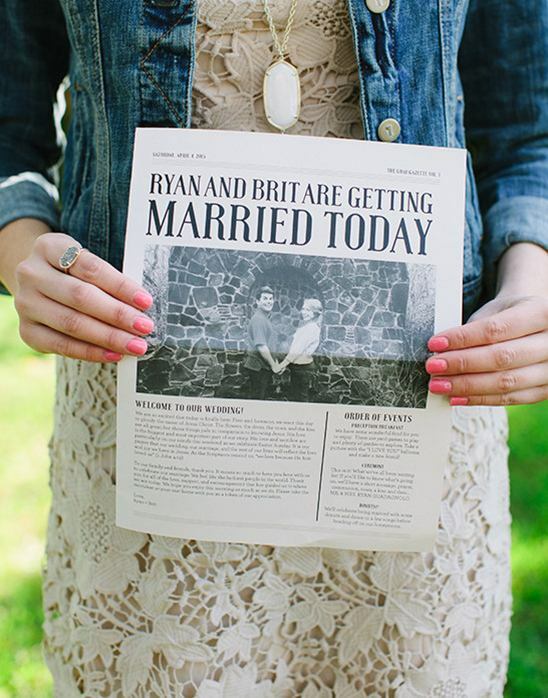 German: Before the wedding day the friends and family of the bride and groom create a wedding newspaper that is filled with pictures, articles, and stories of the engaged couple. 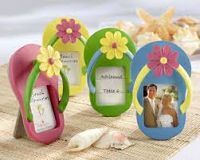 The paper can be used in many sorts of ways from wedding programs to guestbooks, they can even be sold for honeymoon funds! Greek: The bride and groom are basically queen and king of their universe for the day. 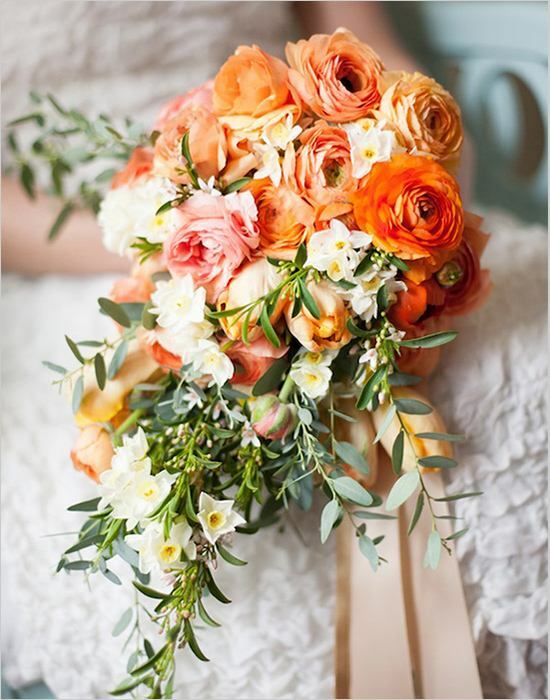 During the ceremony they wear crowns made of either gold or orange blossoms that are connected with a ribbon to signify the union. Indian: Indian weddings are traditionally multiple day affairs, and involve numerous intricate ceremonies. 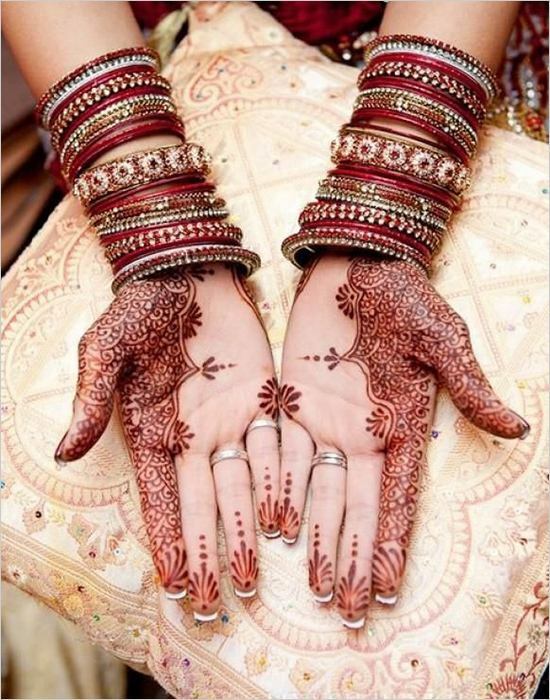 The painting of the hands and feet of the bride, called a mehndi, is one of our favorites. 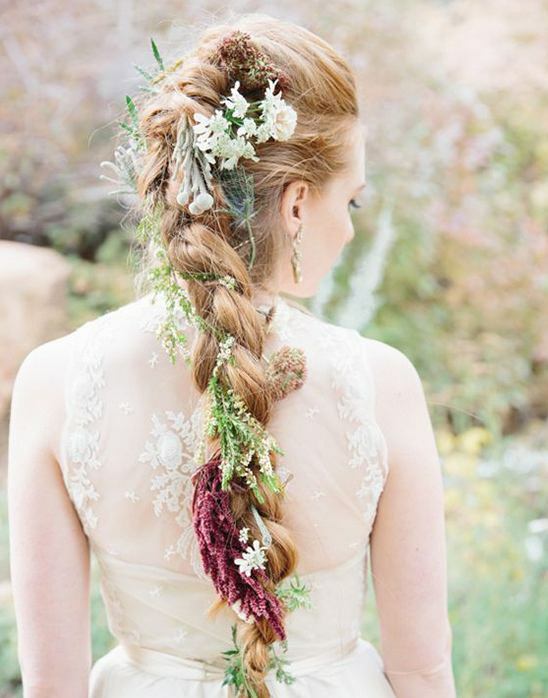 Irish: The brides typically wore beautiful wildflower wreaths in their hair and maybe even in their bouquet, and they braided their hair to symbolize feminine power and luck. 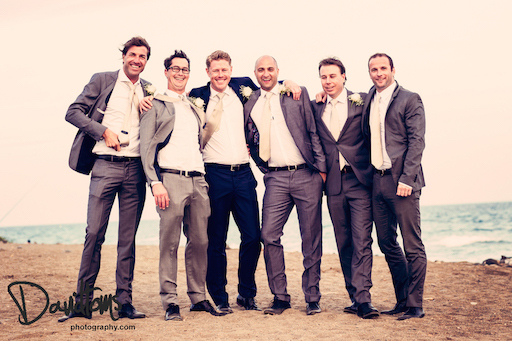 Italian: The groom's tie is cut off and then cut into pieces of different sizes. 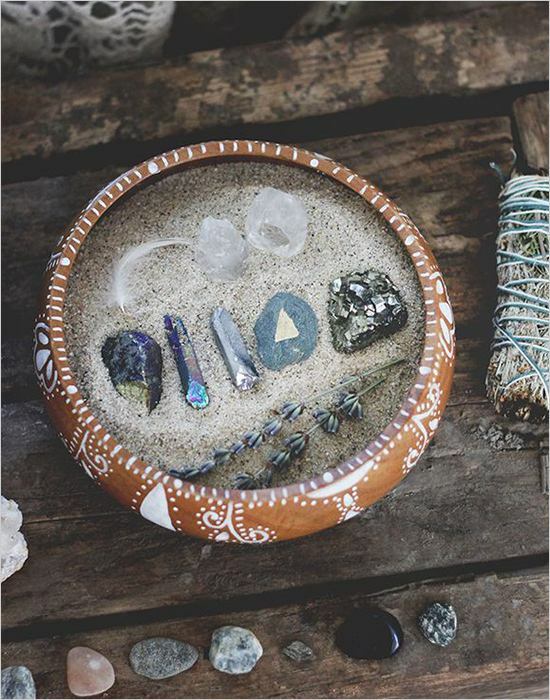 Afterwards the pieces are collected and the friends "sell off" the pieces as souvenirs. 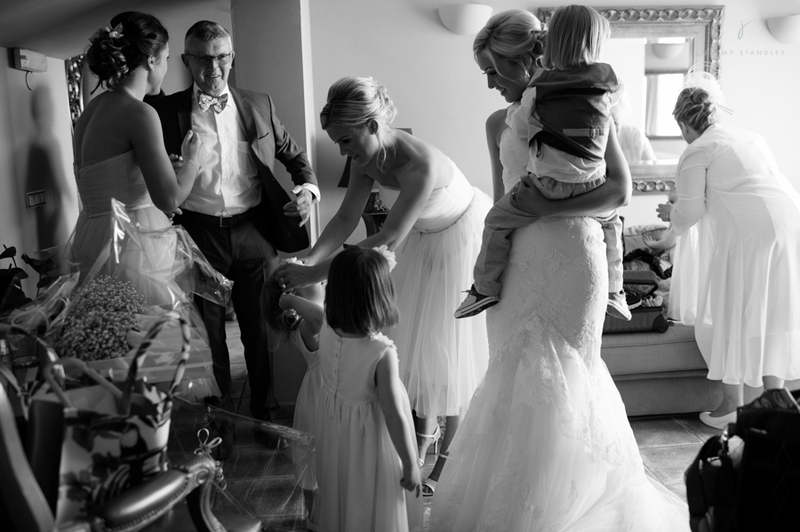 Any collected money is then handed over to the bride and groom, and traditionally is used to pay the band. Japanese: The crane is a symbol of longevity and prosperity. 1,001 gold origami cranes are folded to bring luck, good fortune, longevity, fidelity, and peace to the marriage. Norwegian: Kransekake is a cake made of concentric rings stuck together with white icing. The bride and groom lift the top layer of the cake at their wedding. The number of cake rings that stick to the top one is said to be the number of children they will have. Pakistani: After a Pakistani wedding, the couple returns home for the "showing of the face." The bride will remove her veil and, while the newlyweds are busy gazing at one another, the bride's female relatives make off with the groom's shoes and ransom them. Peruvian: Charms attached to ribbons are tucked between layers of the wedding cake. Each woman grabs a ribbon and pulls. At the end of one ribbon is a fake wedding ring. Whomever receives the ring is said to be next in line for marriage. 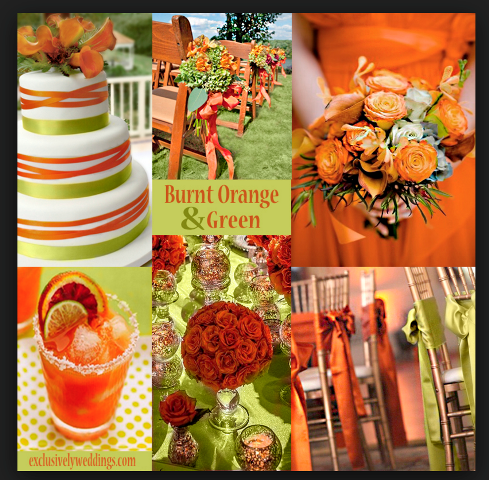 Spanish: Orange blossoms are the flowers of choice for Spanish brides because they symbolize happiness and fulfillment. 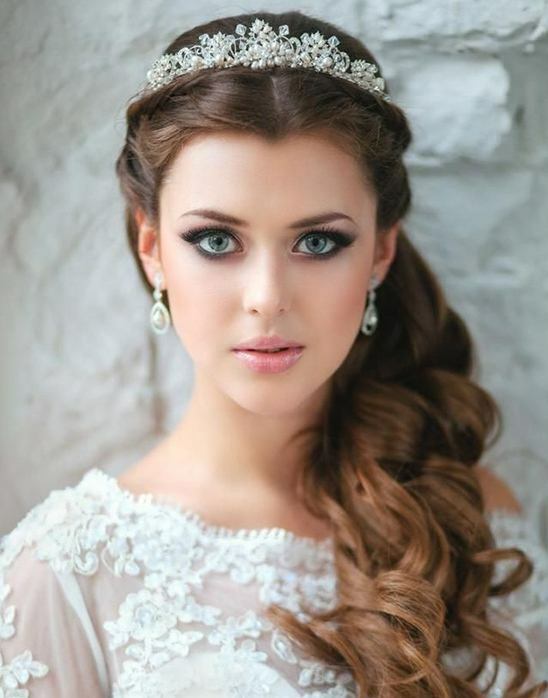 They can be seen in the bouquet, decorations, and even in the bride's hair. 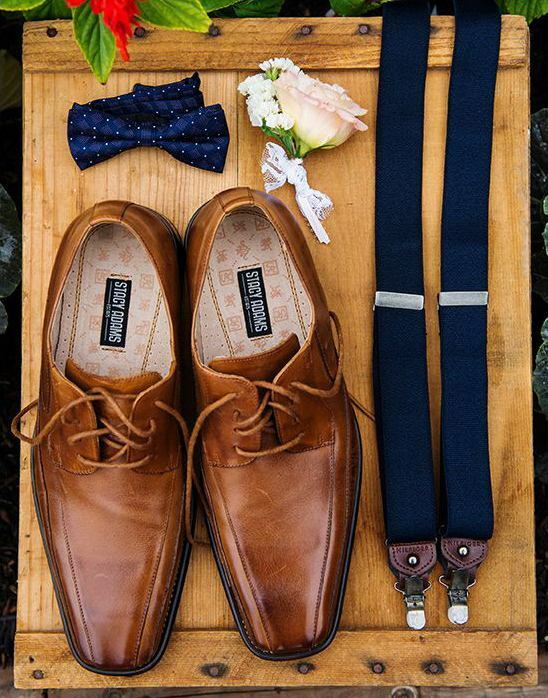 Scottish: The Scottish like to tie the knot in a literal way. 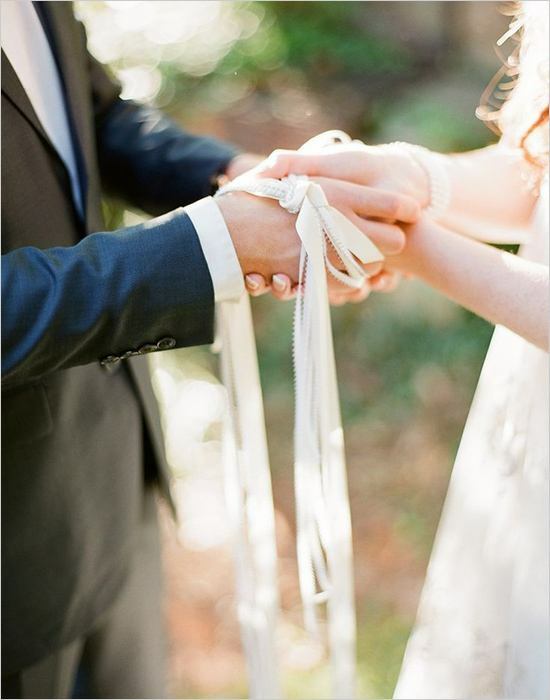 The couple participates in a hand-fasting ceremony where their wrists are bound together by a cloth or string. Swedish: A Swedish bride gets to wear three bands, one for her engagement, one for marriage, and one for motherhood. 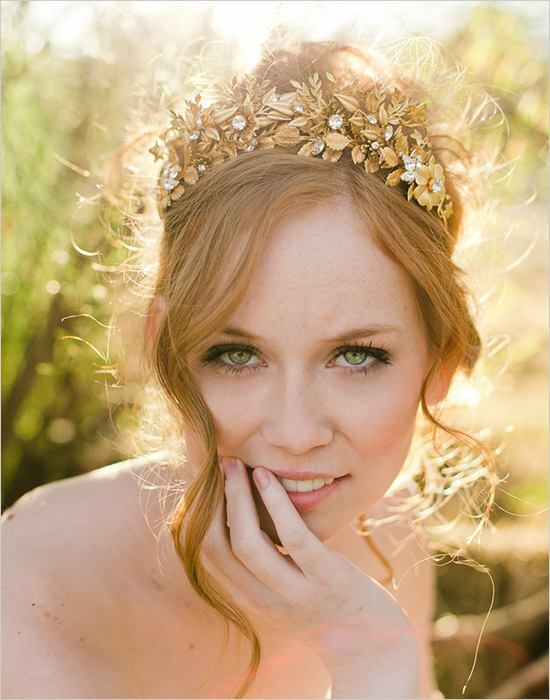 A tiara is also worn to symbolize her virgin status. In the past crowns made of myrtle leaves were worn instead. 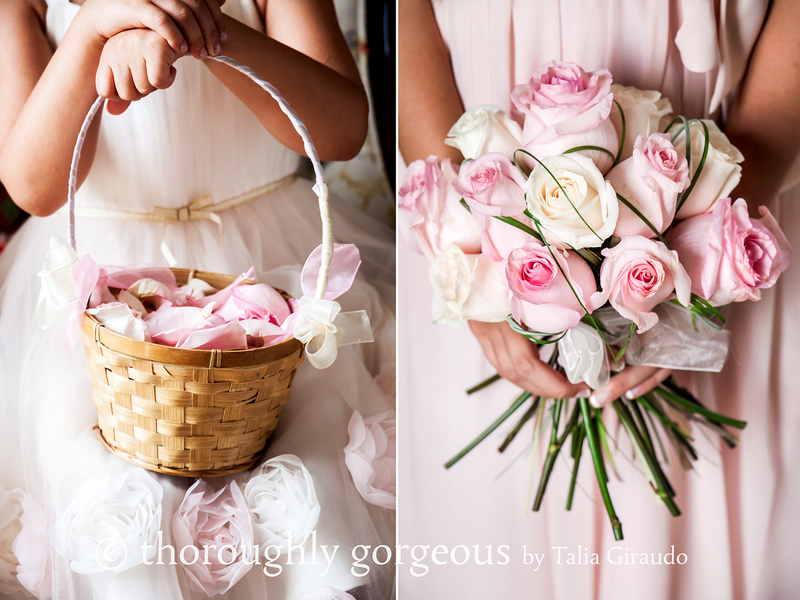 So....Do you think you will be adding any of these wedding traditionals from around the World to your Wedding Day? 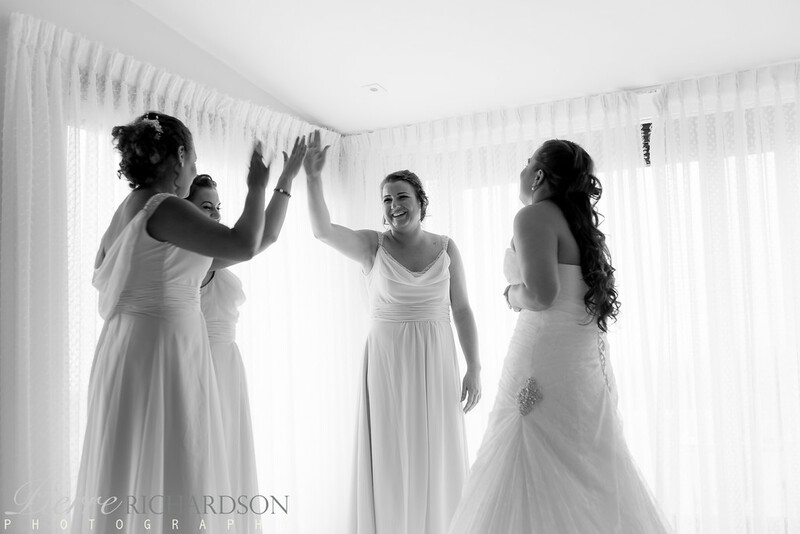 Ruth and David had an amazing wedding shared with their Family and Friends. Their day started at our beautiful Church of San Antonio where they had a lovely service. The Church is set in a small Spanish Village and was built in the 17th Century. It is a beautiful Church inside and out. 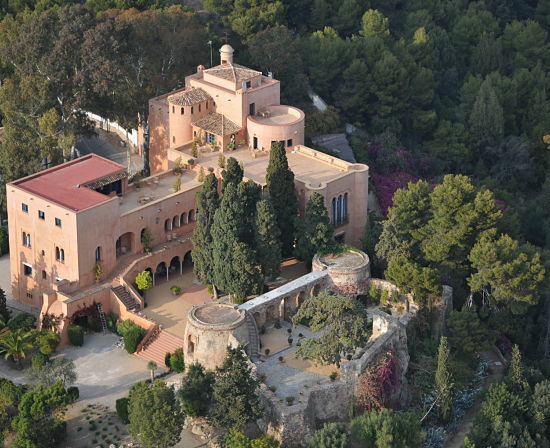 They then went onto one of our popular venues Casa De Los Bates. 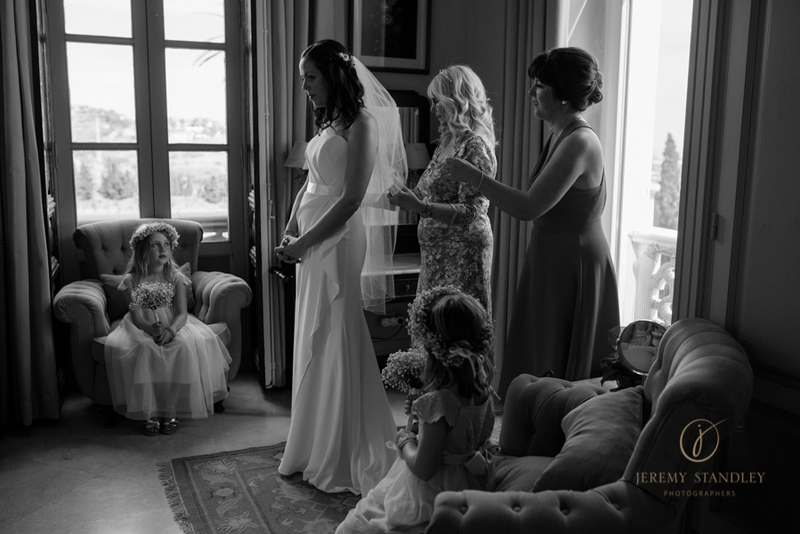 Jessica and Dean had a wonderful Wedding Day shared with their close Family and Friends. It was truely a day to remember and enjoyed by all. 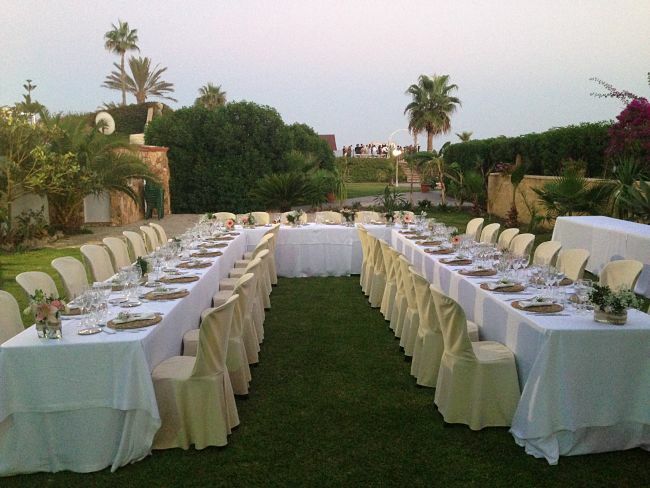 They choose one of our stunning Venues - DSV Villa Collection. 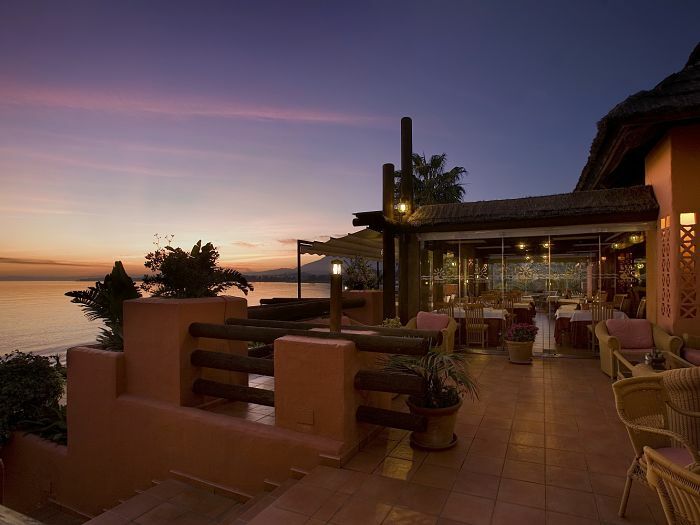 This Venues is 2 villas on the same complex, both villas offer amazing facitlities and accomodates up to 20 guests so perfect for a lovely intimate wedding. 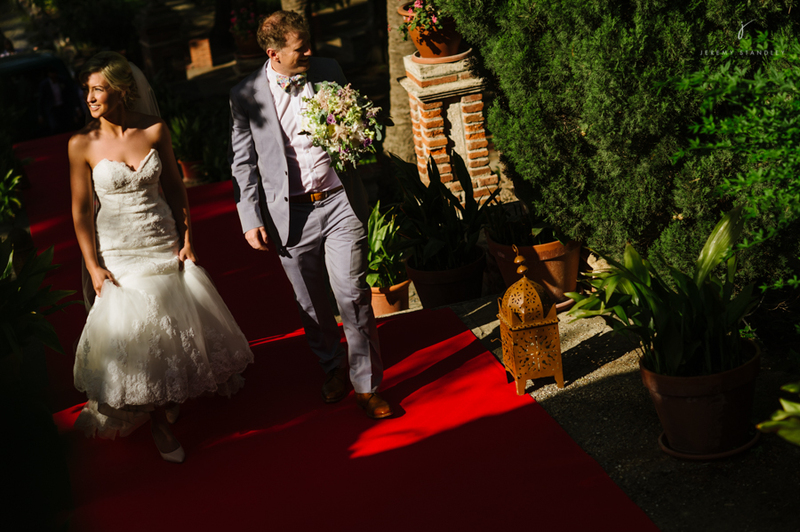 With outstanding views of the Spanish countryside, rolling hills and mountains you can see why people choose Costa Del Sol to have their wedding. 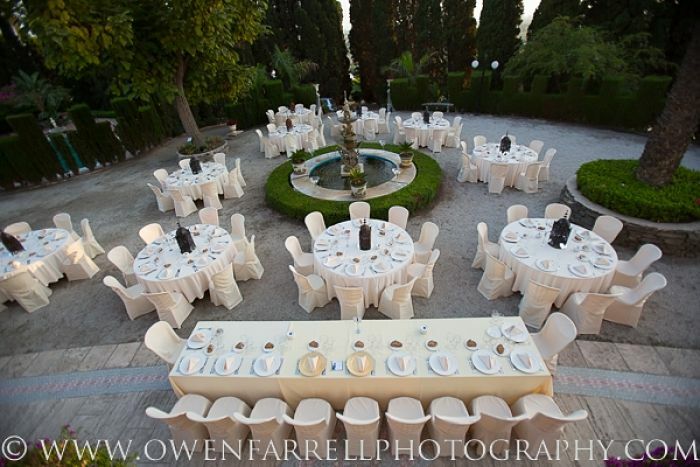 This is one of our lovely venues just 30 minutes from Malaga airport and and beaches of Torremolinos. 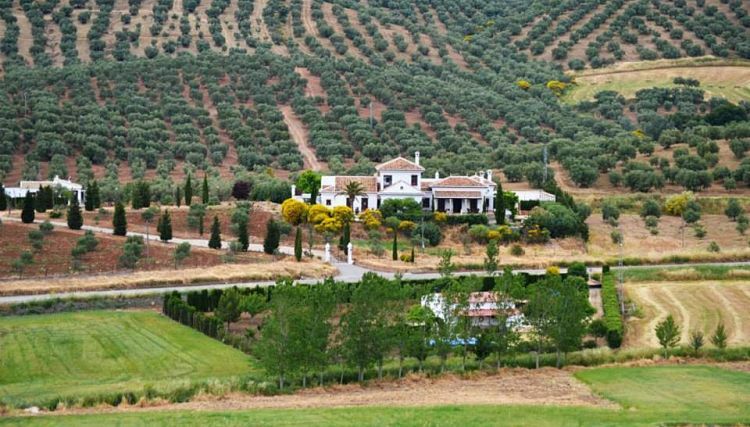 Set in the Spanish mountains surrounded by natural beauty this 7 bedroom boutique Hotel is perfect to hold an intimate wedding in Spain. With gardens all around the property covered in Orange and Chimera trees it is truely perfect to caputure some amazing wedding photos. 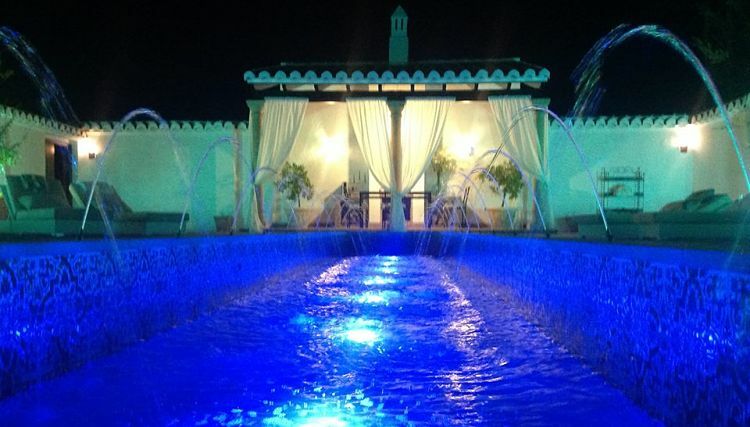 It also has a large morrocan inspired courtyard with a fountain which is where your outdoor wedding reception will be held. 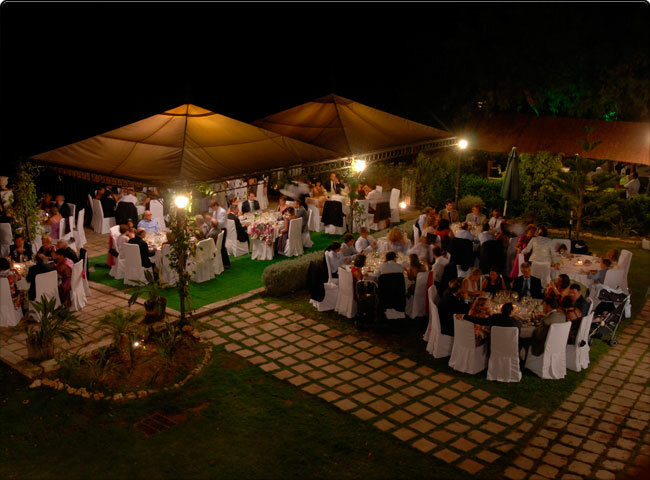 You will not be disppointed if you chose this venue to celebrate your special day with all your Family and Friends. So If you can see yourself getting married here then please feel free to get in touch for more information. 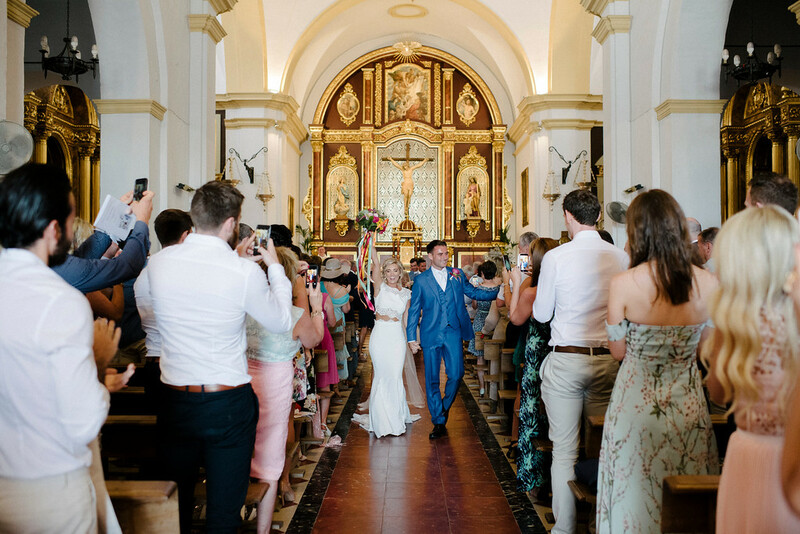 Francesca and Luke got married at the beautiful Nuestra Senora De Encarnancion Church in Marbella and then their wedding reception was at the stunning beach front Salduna Beach Restaurant. 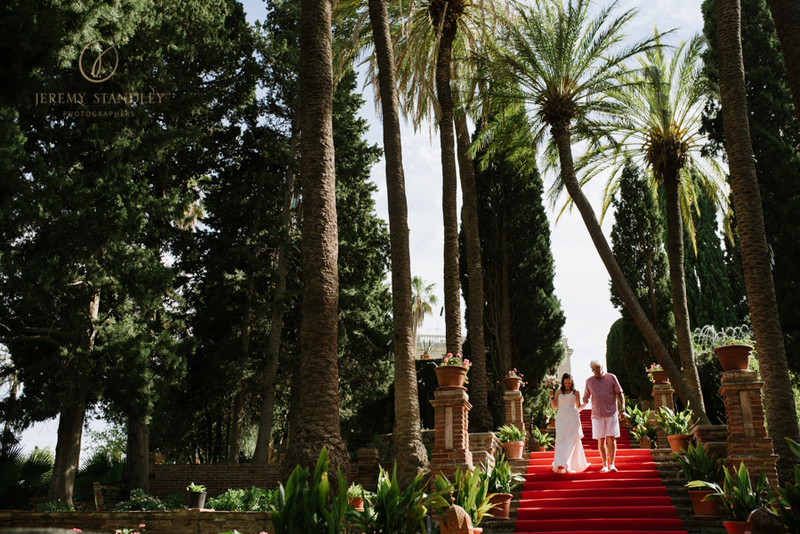 Their day was shared with their loved ones and the warm Spanish sun, it was just perfect. 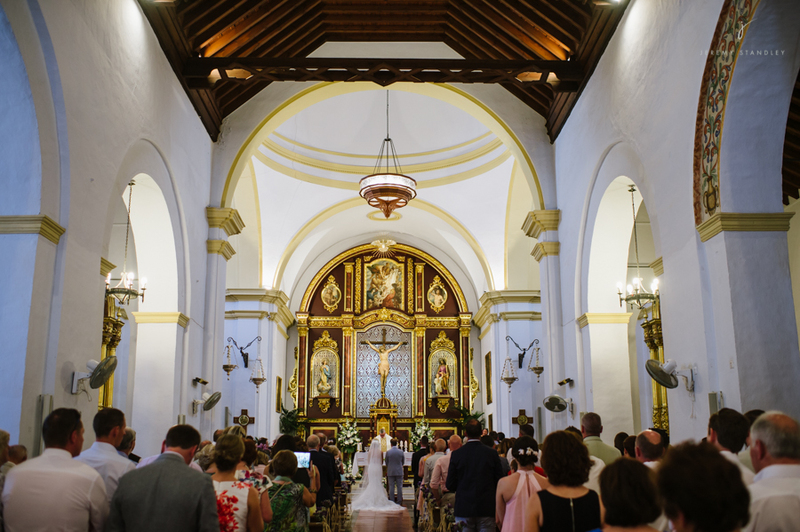 Nuestra Senora De Encarnancion Church is such a beautiful church to get married in, set slightly inland not far from Marbella makes it an idea location to have your church weddding here and then onto one of our many beautiful Venues in Marbella. As you can see from the picture below the details and gold colouring in the church is just breath taking. More and more people are getting married abroad and you can see why. With the average cost of a UK wedding around £18-20k compared to a destination wedding costing around £7-8k there is a big difference. Figures show that 1 - 4 couples now decided to get married abroad. But why else are people choosing to get married abroad. 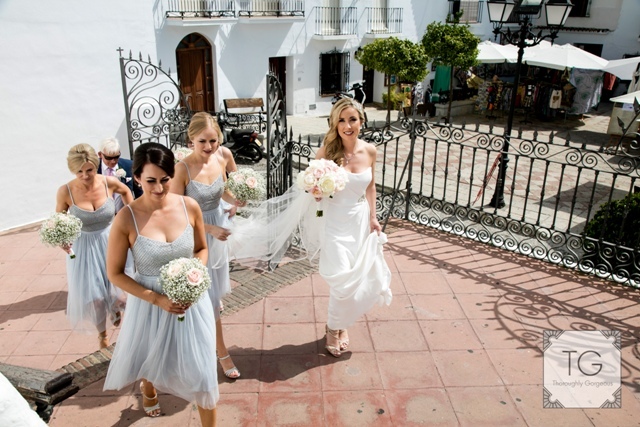 Of course Costa Del Sol, Spain is one of the most popular destination to get married, with wonderful weather all your round, only a short flight from the UK so easy for guests to travel too, excellent value for money, great food and so many amazing venues to choose from - from beach to countryside. 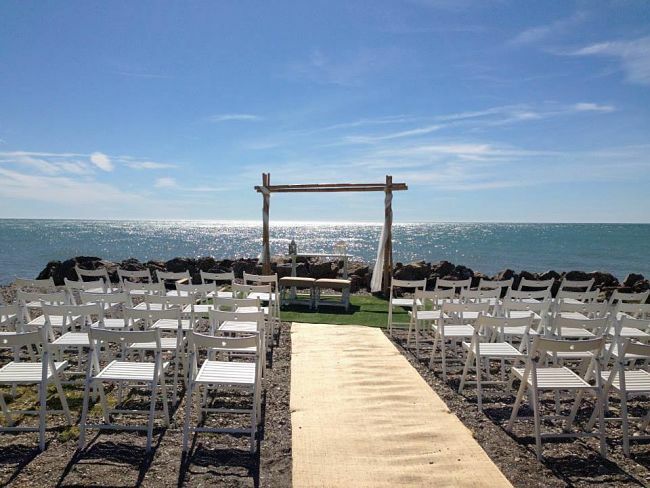 And this is why we love planning weddings in Costa Del Sol, Spain. 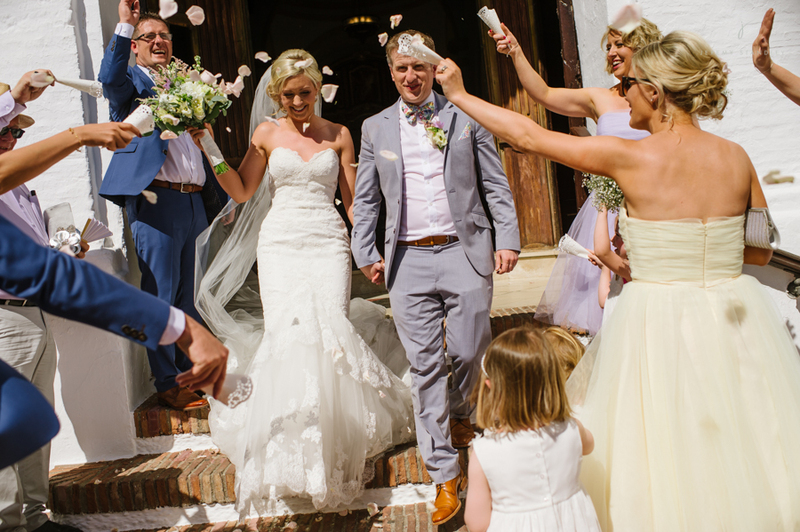 It also has so much to offer you and your guests before or after the wedding day - from amazing beaches, ancient buildings to explore, watersports, shopping, FAB restaurants and much more. 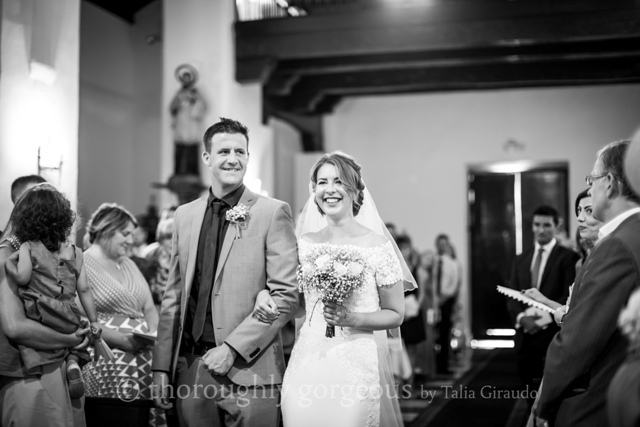 Natalie and Michael shared their wedding day with Family and Friends at our stunning Casa De Los Bates Venue. The day was perfect. 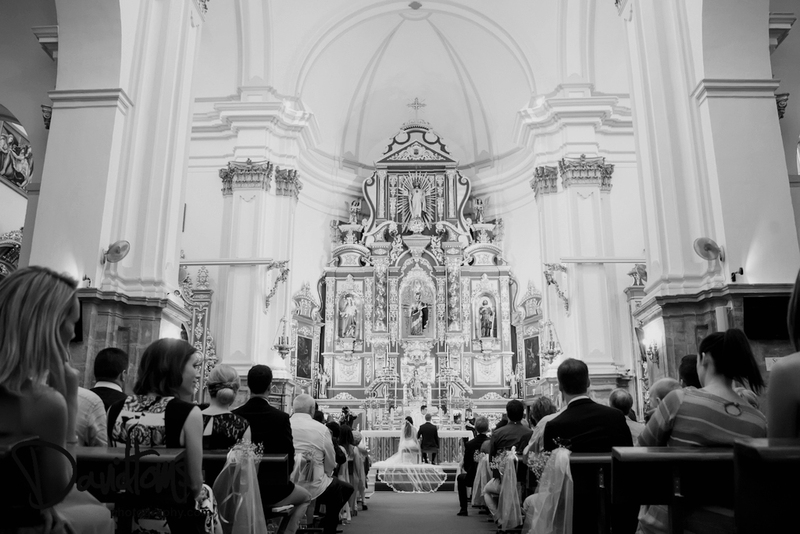 Casa De Los Bates is one of our popular venues and you can see why people choose to get married here. 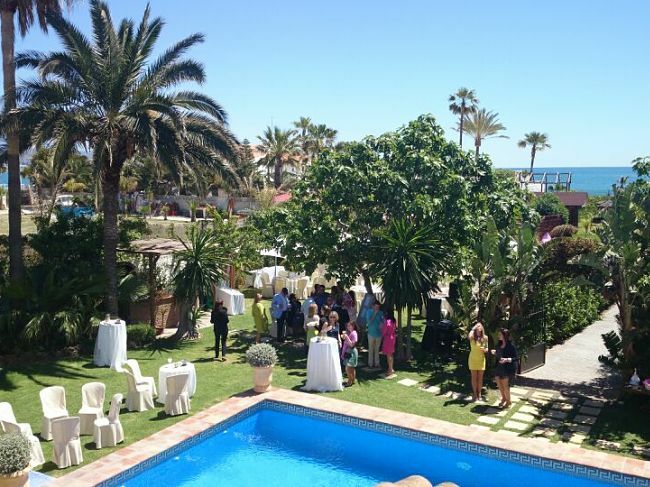 Not only is the wedding venue stunning but it also has breathtaking views of the Spanish Countryside and the Mediterreanean Sea. We have so many wonderful venues that offer so much. 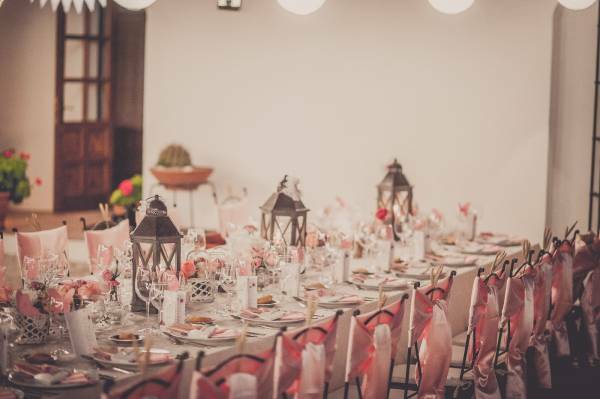 Here is some information on one of our very popular venues - Casa De Los Bates. 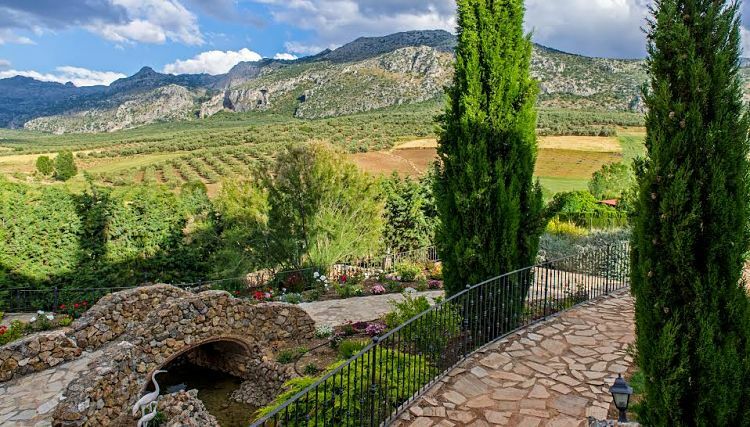 Casa De los Bates has stunning landscaped gardens perfect for your wedding photos plus with views of the Sierra Nevada mountain range and Mediterranean Sea its location is breathtaking. 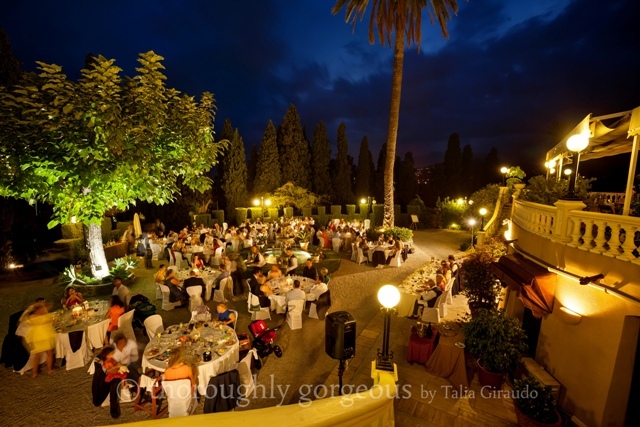 There is a lovely terrace where you can have your wedding reception and then dance the night away under the Spanish stars. 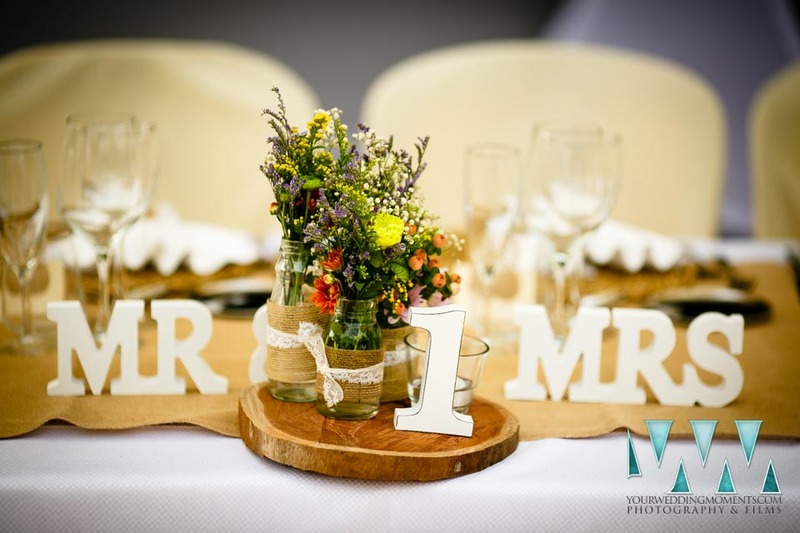 The house has 5 double bedrooms including the honeymoon suite which all have en-suite facilities which makes it perfect for some of your wedding guests to stay onsite. 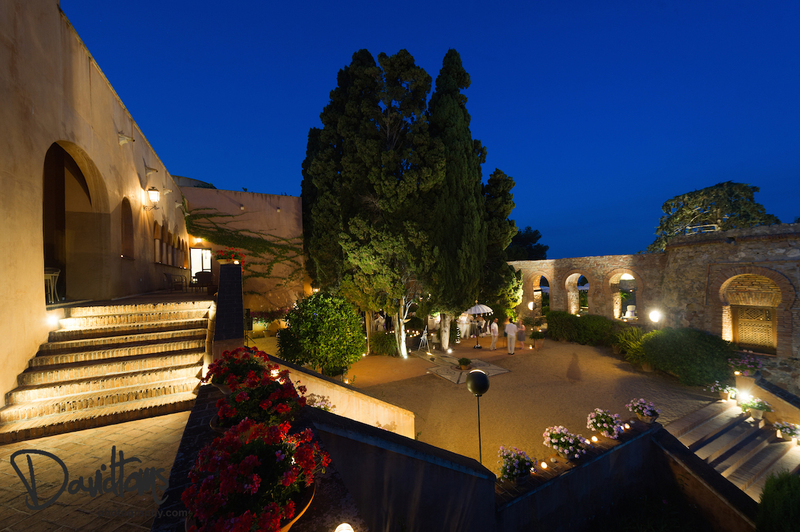 If you would like more information about this beautiful Venue in Spain then drop us an email and we would be happy to help. 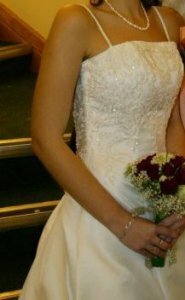 Wedding dress shopping is something a Bride cant wait to do or dreads. 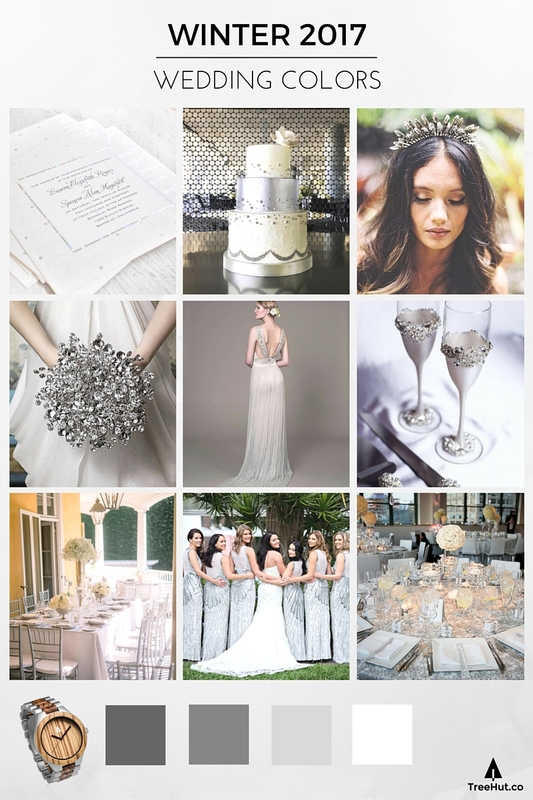 Having experience in the Bridal Industry I see many Brides coming in who know exactly what they are looking for but others that are terified and dont know where to start. 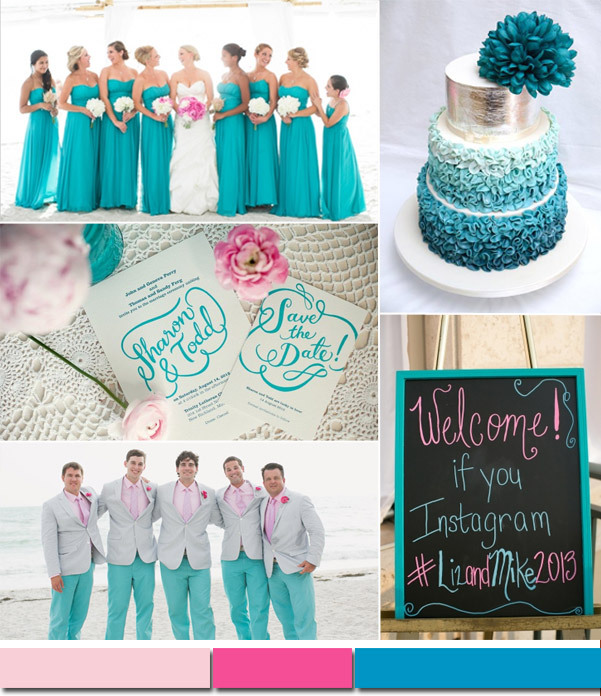 I have a few helpful tips to help all you future brides out there with you dress shopping. 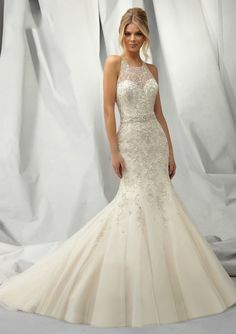 3) Have a look in bridal magazines or online at what styles you like and you can even print them off to help your wedding dress consultant find that right dress – but also be open to try different styles if you find your not “feeling it” a lot of the time the dress you choose will be completly different to what you thought you would go for. 4) If buying from a Bridal Boutique then they say allow 6 – 8 months, this gives you time to get it ordered and have any alterations. 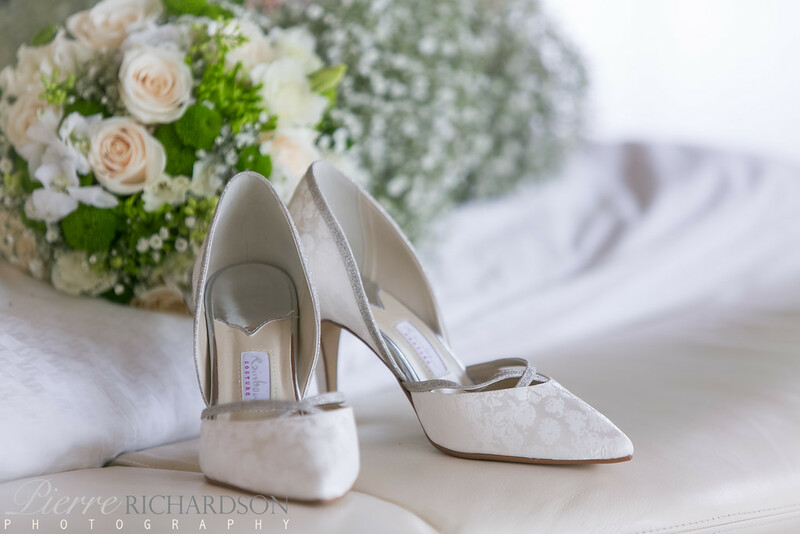 However if your buying from a Bridal Outlet store then you can walk in 2 weeks beforehand but be aware that you may still need alterations with the dress and steamstresses do get booked up quickly. 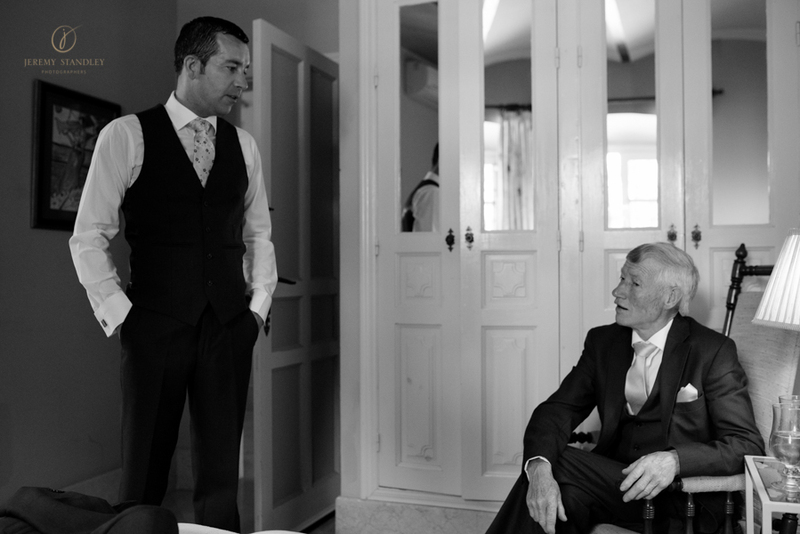 Alterations is normally done 6-8weeks before your wedding.... of course this doesnt always happen due to time scales so just bare in mind you may need to ring around a few places to get an appointment. 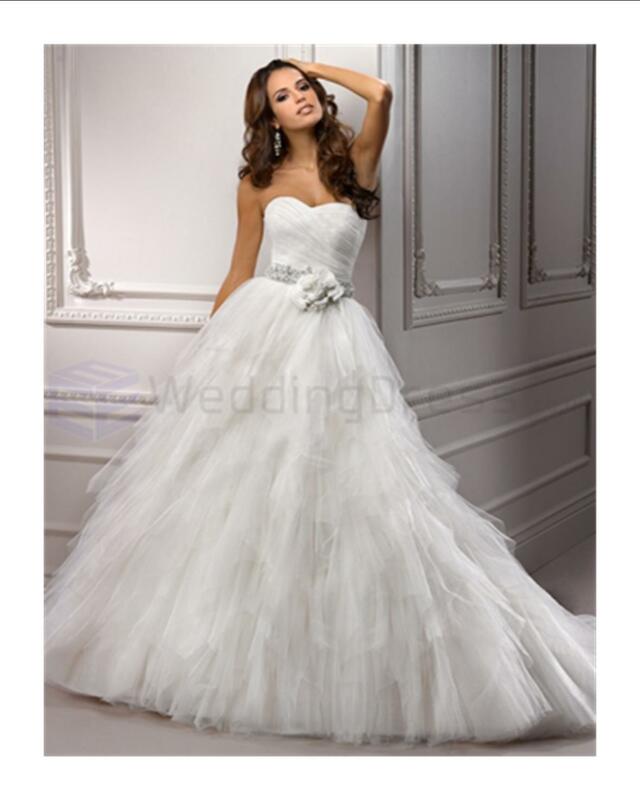 5) And lastly have fun….. this is suppose to be an enjoyable experience and if you starting to get stressed then maybe you need to call it a day and arrange another appointment – the last thing you want is to be stressing about your dress. is a popular dress for all body shapes. 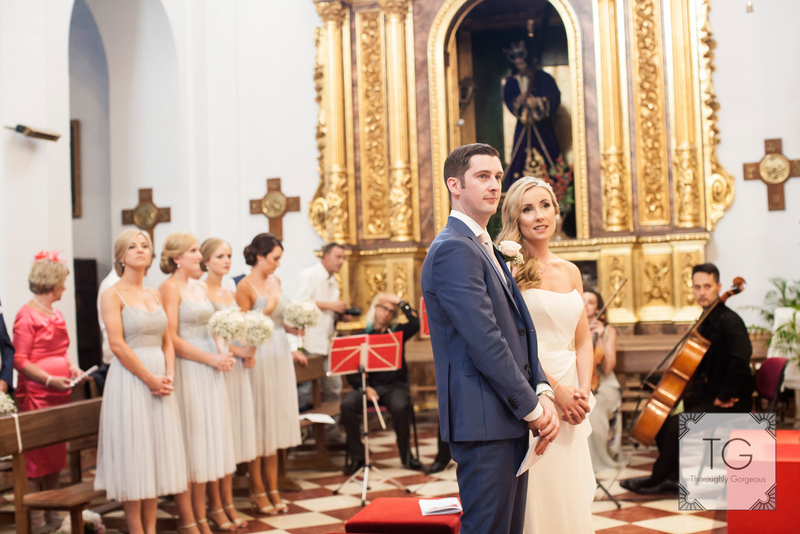 Naomi and David celebrated their wedding day surrounded by Family and Friends on a beautiful sunny day in Spain. They chose the amazing venue of Casa De Los Bates. 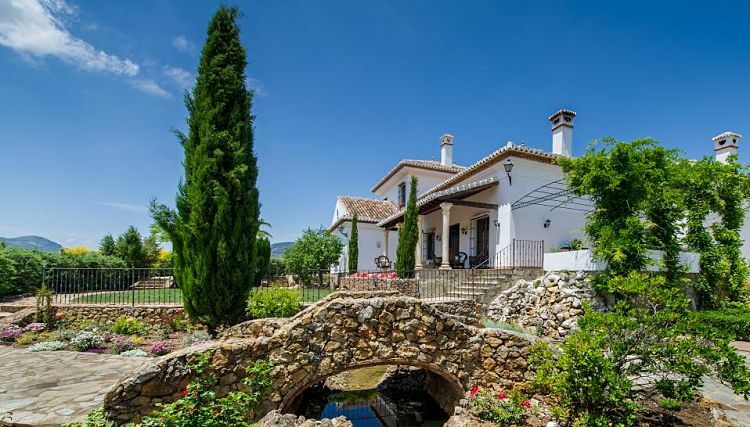 Casa De Los Bates is truly a beautiful place to have your Spanish Wedding. 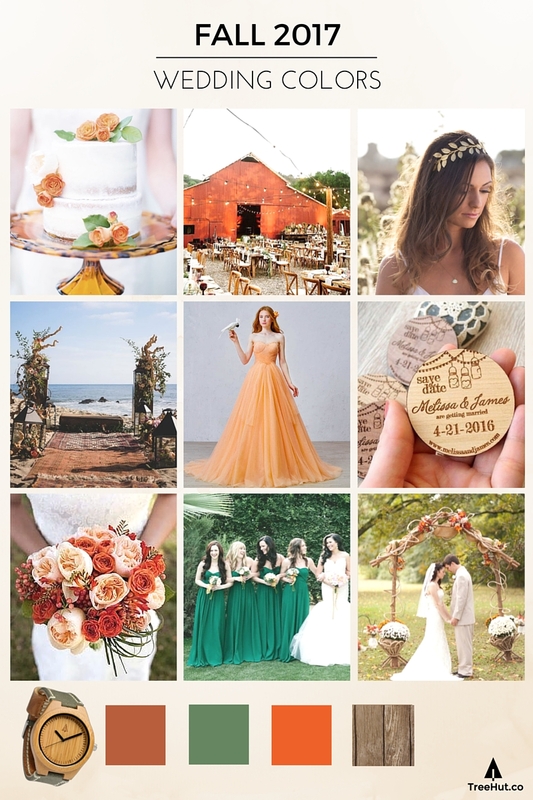 As young girls many of us dreamed of our wedding day, being a beautiful princess and getting married in a fairlytale castle just like you read in the books and saw on Films? 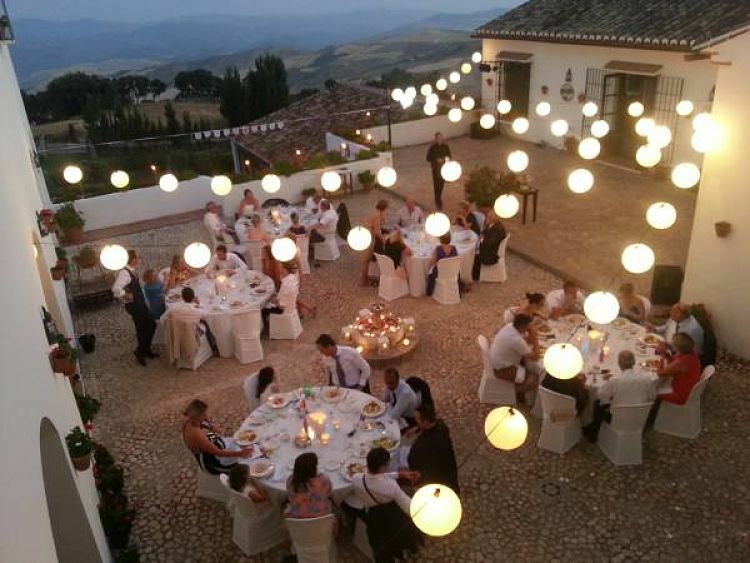 Well...... with Perfect Spanish Weddings that dream can come true. 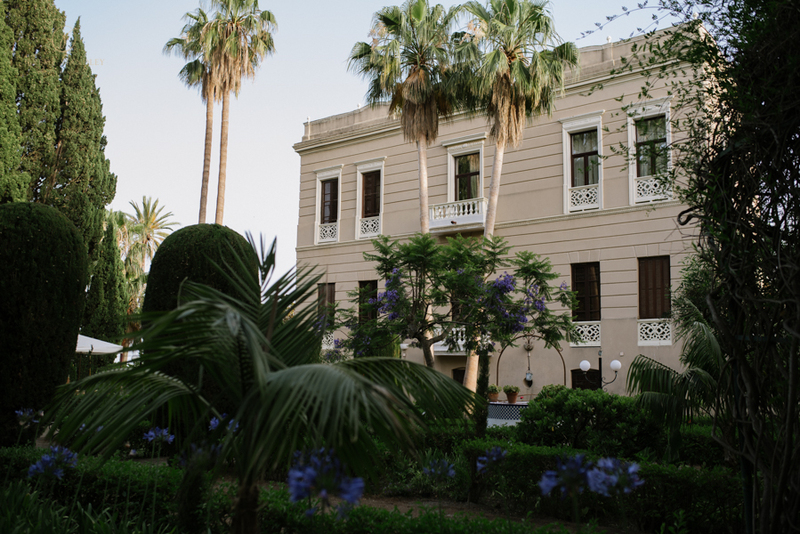 Our stunning venue Castillo de Santa Catalina is a beautiful 16th Century Spanish Castle which is now a luxurious hotel overlooking the bay of Malaga, perfect to hold your Spanish wedding. 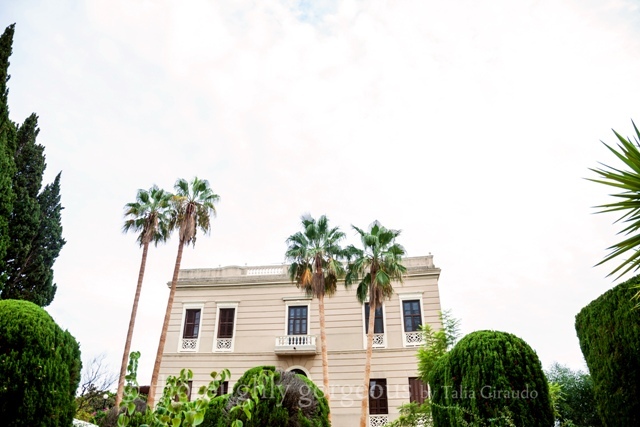 With its beautiful landscaped grounds perfect to capture your wedding photos. 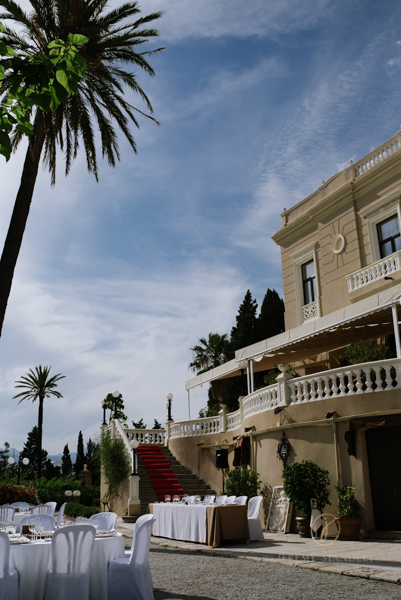 With plenty of terraces to hold your wedding reception and the interior decor of the Castle is simple stunning. Of course we can not forgot those amazing views... they will take your breath away and Im sure will make you go "WOW"
It is truly a fairlytale venue. If you would like more information on this venue then please feel free to get in touch and we would be happy to help. 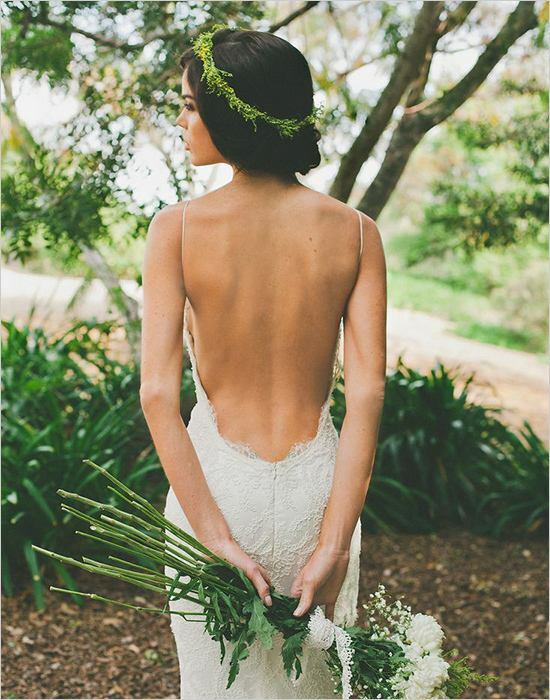 Where will you be buying your wedding dress?? 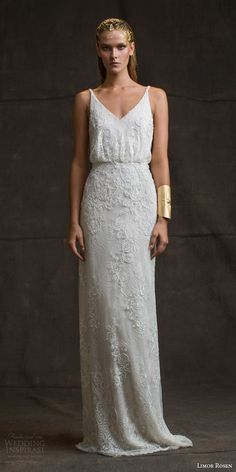 So it seems to be a growing trend that more and more people buy their wedding dresses online, and if im honest I can see why they do, with the cost of some wedding dresses today. 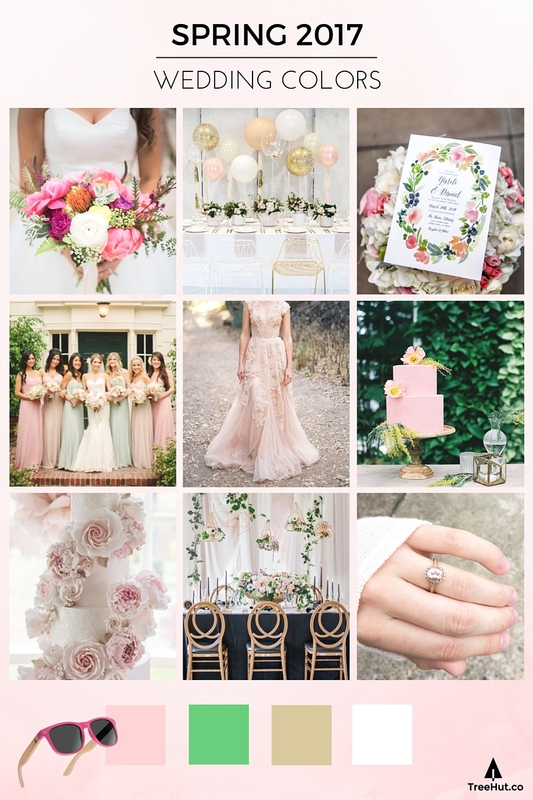 Many Brides I have spoken to say it is only for one day and I cant afford to spend £1-2k and upwards for a dress when you have some many other things to pay for, weddings are not cheap. 1) Try the dresses on and find out what style you like and dont like - 90% of the time you alway pick something you never thought you would wear. 3) You have somewhere to go if there are any problems – sometimes problems do occur so by buying in a shop you can always go back and discuss the issue and it should be easier to resolve the problem. 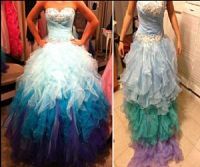 You read so many horror stories of people buying their “dream” dress online and it not looking like its suppose to in the picture. Here are a few pictures I have found from an article from the Daily mail. 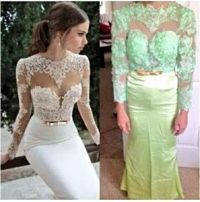 These 3 ladies saw their dream dress online and of course at the fracture of a cost and decided to buy it..... and now they are stick with a horrible dress, they lost their money and the whole wedding dress experience dampened. So with all of this is mind there are many other ways of being able to get you dream wedding dress at a more affordable price without having to run the risk of this happening to you…. Looking for the perfect bridesmaid dresses can sometimes be more stressful then shopping for your own dress you have so many things to take into account, how many bridesmaids, different body shapes, budget, colours, style of dress to name a few but one thing as the bride you have to remember is ….. stick to the budget and it is still your wedding day so you do have the last say. 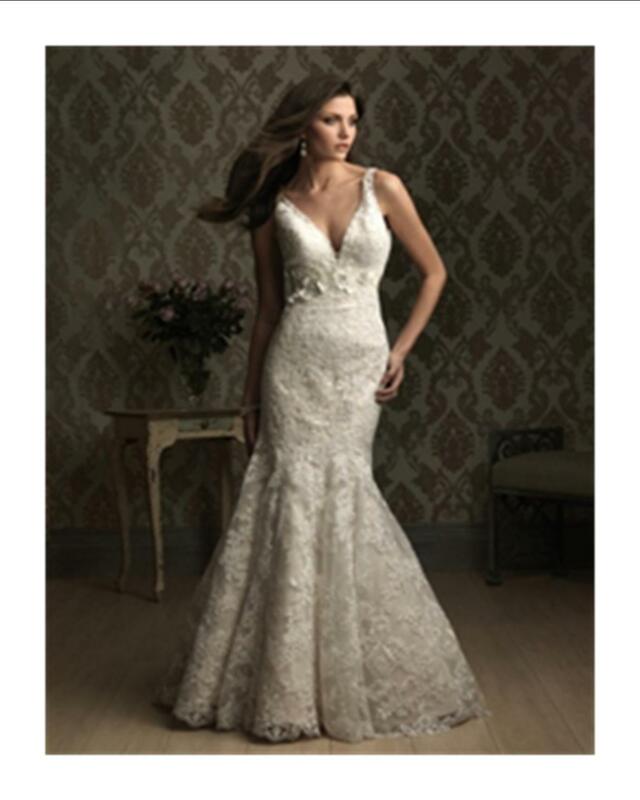 Budgets….. so how much would you spend on a dress? bridesmaid dresses can be expensive £150 upwards and when you have a number of them it does add up so maybe think out the box if your on a budget. Look around in high street shops you can get some fab looking dresses for half the price and to be fair they are more likely going to wear them again. 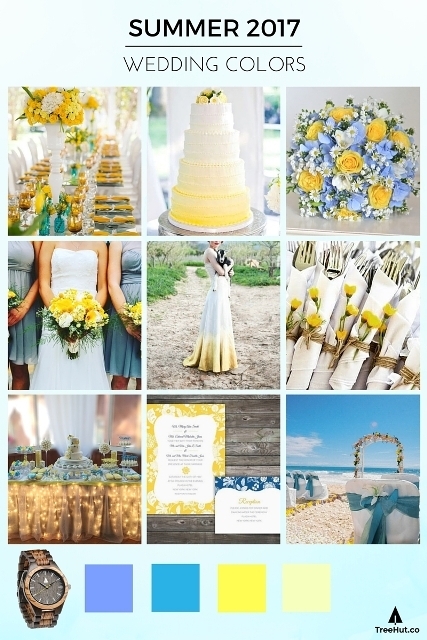 Choosing your colour scheme…. This can be hard at sometimes as you might have a set colour in mind but that may not always compliment all your bridesmaids skin tones. 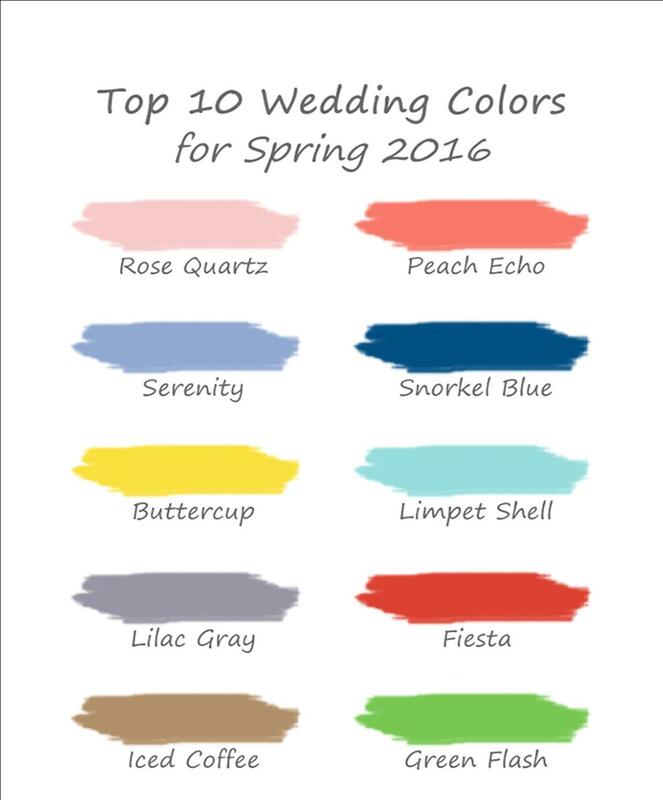 Try on a few different colours and see what suits them, also have a look at what colours your bridal party wear daily, and then hopefully there will be a colour that they all can wear and all look FAB, also remember they dont need to be all in the same colour, this can make life so much easier for you! and as you can see below looks great!! 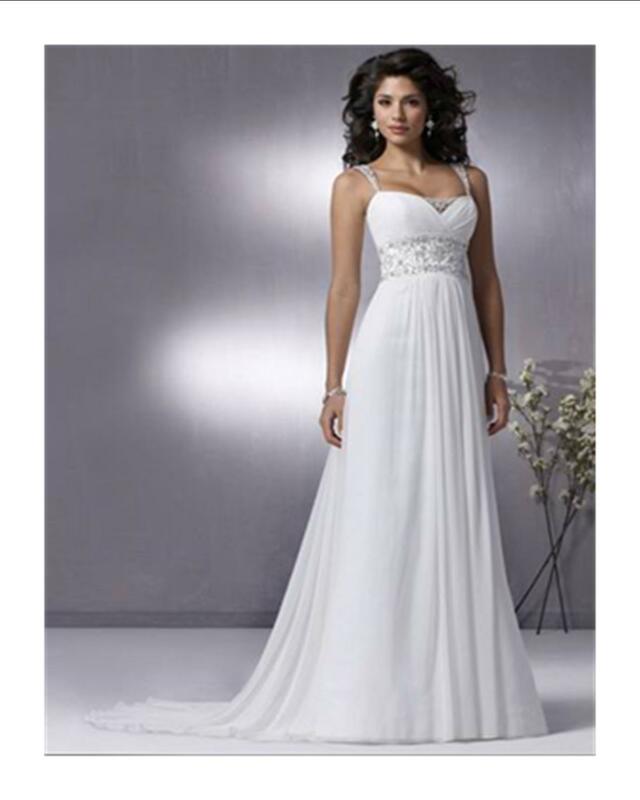 Happy shopping and im sure you will find those perfect dresses that will look amazing on your bridal party. 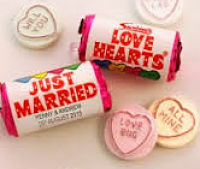 Wedding Favours - Yes or No?? 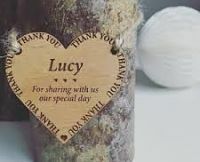 Wedding Favours are one of those things as you start making your list as to what you need to get for the table decorations you then cant decide whether you need to have them or “should” you have them. 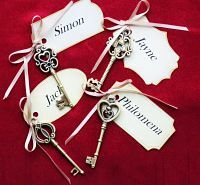 The history of wedding favours started in france in the 16th Century, where they gave their guests "bonbonnieres" which were sugar coated Almonds or sweets, this was a thank you token but also the sweetness of the almonds which thought to symbolise a bittersweet marriage. 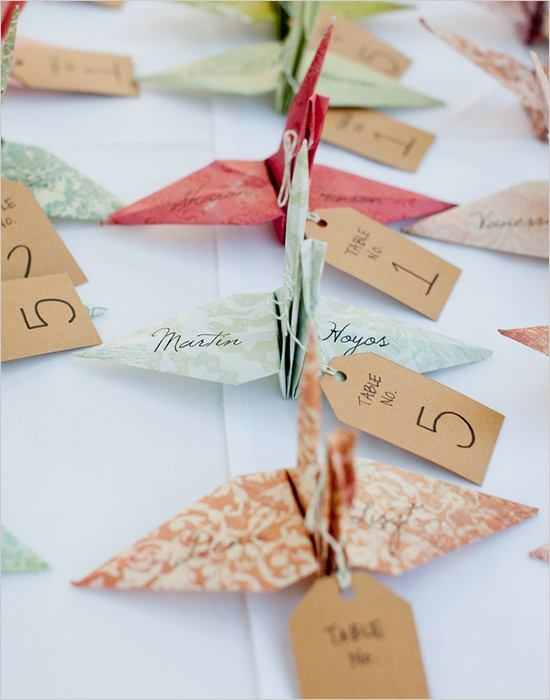 As this tradion spread worldwide today we use many other things as wedding favours to give to our guests. 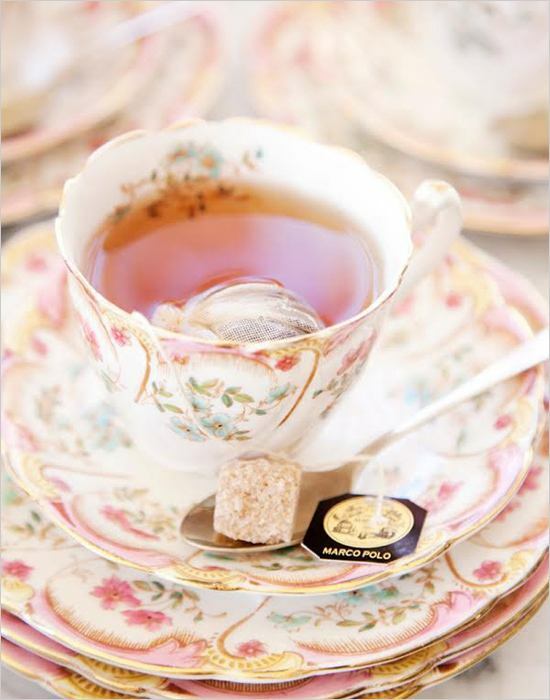 So are you having wedding favours? and if so what are you thinking of having? or do you go with something different. 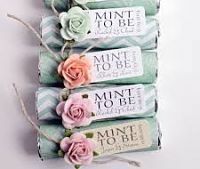 There are so many different options for favours out there, its just finding the right one that fits with youwhether its budget, edible, keepsakes, unique they will all look great. 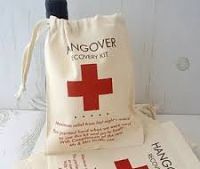 Here are a few wedding favours I have found whilst searching the net. I hope they give you some inspiration and help you make that decision whether you have them or not! 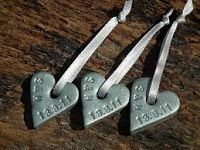 I have also found favours that link in with your name placing, which I think its a great idea. If you decide that wedding favours aren’t for you but feel that the table is missing something then you could put some wedding bubbles on there (great way of keeping kids ……… and some adults entertained) or maybe disposable cameras – if nothing else it gives you both a giggle looking at developed photos a few weeks later – cant beat random wedding photos. 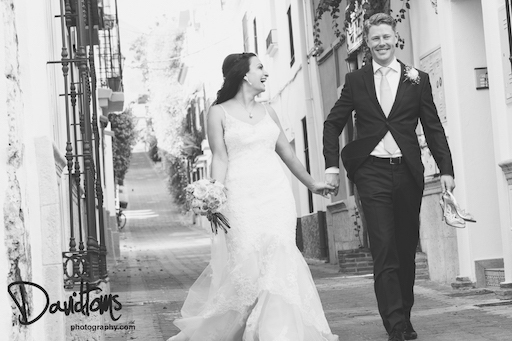 Choosing your wedding photographer is a big decison after all they are going to be the one who captures all your memories and what you look back on and show your children in years to come. And with so many Photographers out there how do you decide. Do you want more formal photos? colour, black and white, sepia photos? 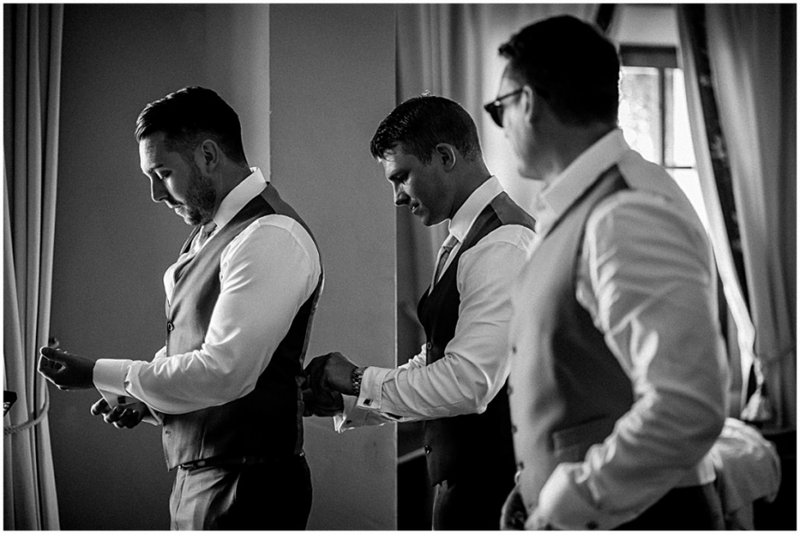 Once you know what style of photos you are looking for then have a look at different photographers work, make contact with them, ask as many questions as you feel you need to - you need to feel confident and relaxed with your photographer - they are there with you and your guests most the day. 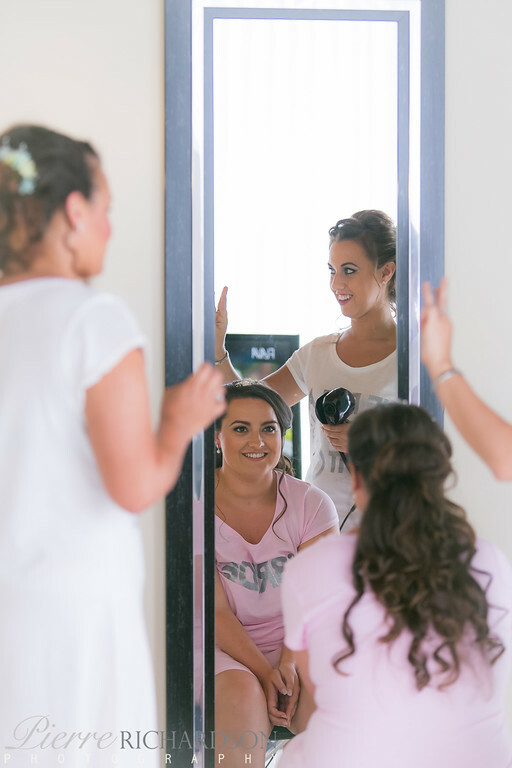 So once you have decided on your photographer its now time to think about if there are any specific photos you would like, bride getting ready, arrival at venue, bridal party, groom and groomsmen, ceremony, speeches etc. 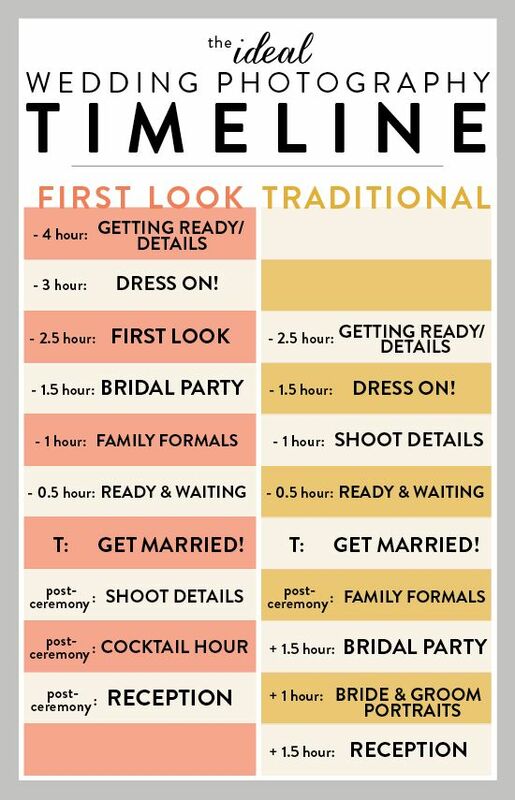 Having a timeline for the photographer is quite handy, and to be fair a lot of photographers will have already set their own timeline for the day to ensure that they are in the right place at the right time and capture all your photos. I hope that you find your perfect Photographer who is not just professional in their work but also the RIGHT person for YOUR wedding. 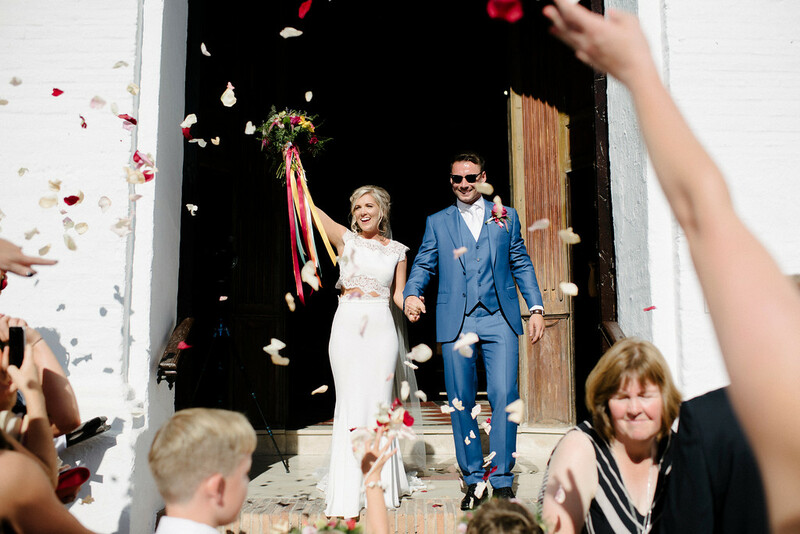 Jenny and Mark had a wonderful wedding at Church Nuestra Señora del Rosario and Casa De Los Bates which was shared with their Family and Friends on a beautiful September Day In Sunny Spain. 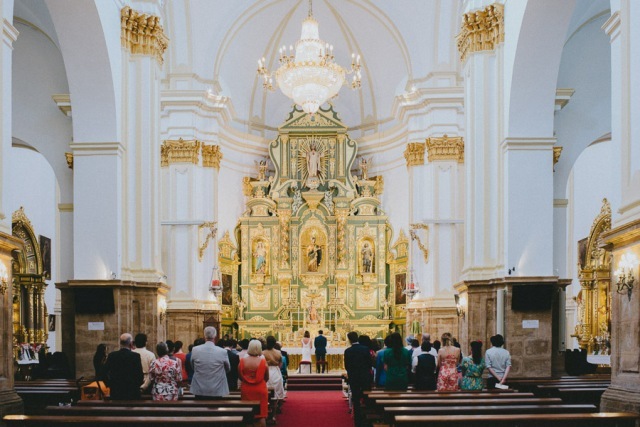 They started they day at the stunning Church Nuestra Señora del Rosario which is perched high up in the old town close to a 10th century Castile with fabulous views of the sea, where their Family and Friends all gathered to watch them get married. 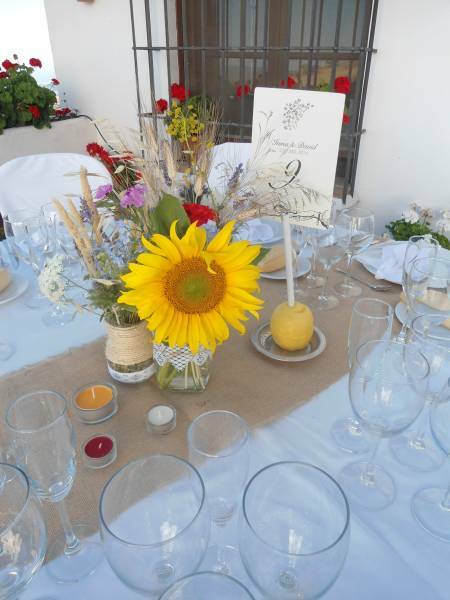 After a lovely service they went onto our FAB Venue Casa De Los Bates to have their wedding reception. Find out more about their day and the Venue. 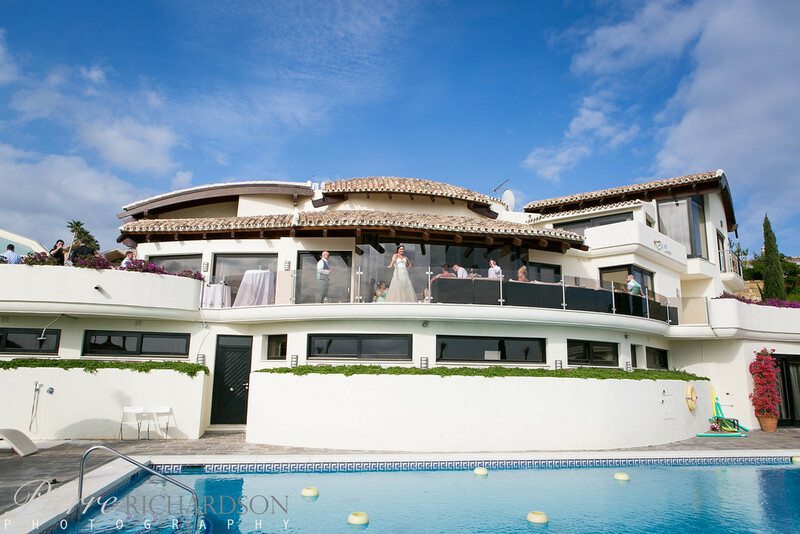 Karen and Simon had a wonderful wedding at our Beautiful venue Casa De Los Bates. It was shared with their Family and Friends and was truly a day to remember. 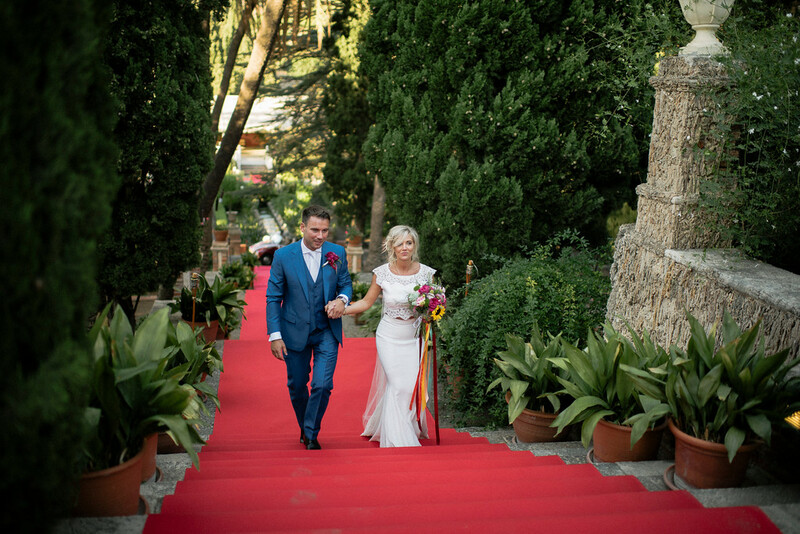 Emily and Nick shared their special day with Family and Friends and the beautiful Spanish Sunshine. 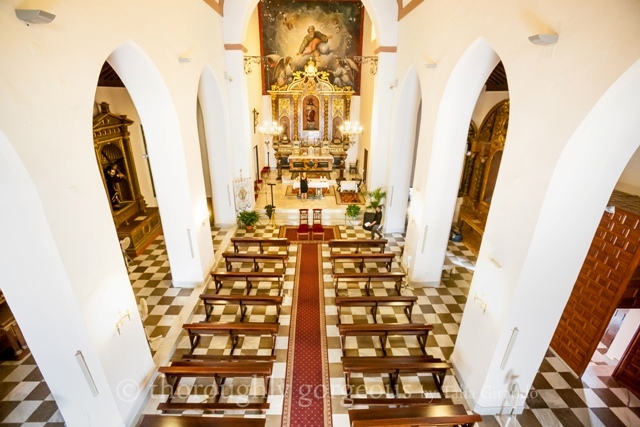 They had a beautiful service at one of our stunning Churches - Inmaculada Concepcion in Mijas. It dates back to the 1600s and has a lovely interior with marble columns. 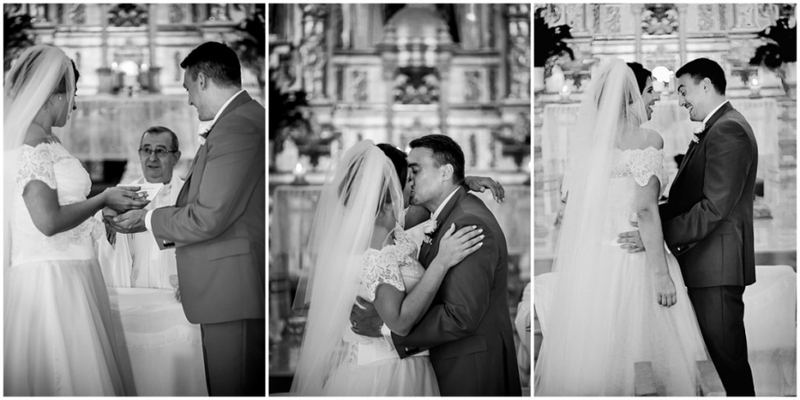 After their Church service they moved onto our amazing Hacienda San Jose Venue to have their Wedding Reception. 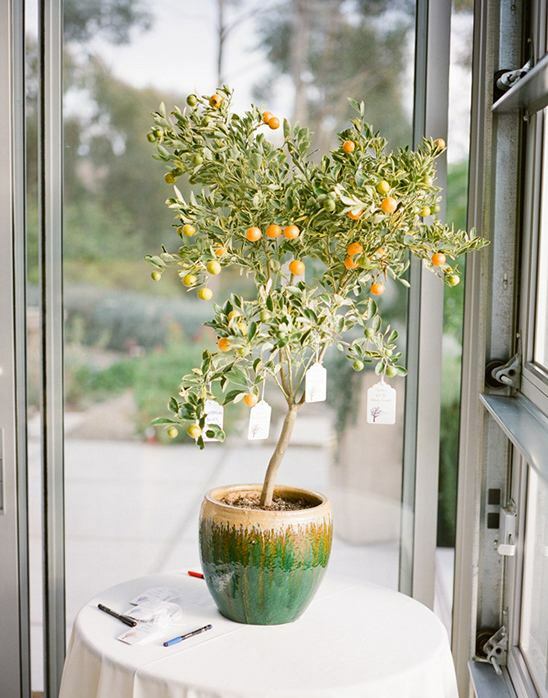 Wedding decorations are a big part of planning your day. 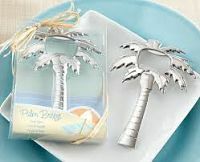 With so many things to think about and what decorations you need where etc. So I thought I would do this blog to help you with some ideas. To start off its deciding what colour scheme you would like to go for? Some people have a colour in mind as soon as they start planning others have no idea what to go with. 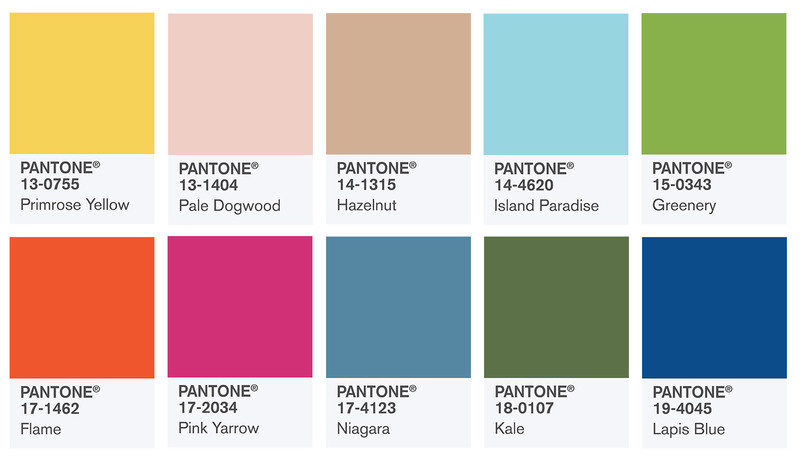 This year we have a range of colours that are on trend, combining a few together they will create a real statement. 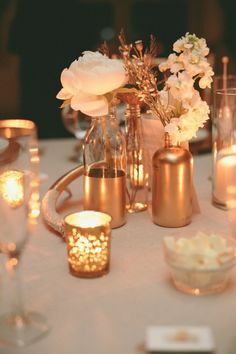 with also Copper, Rose Gold and Blush making a huge impact. 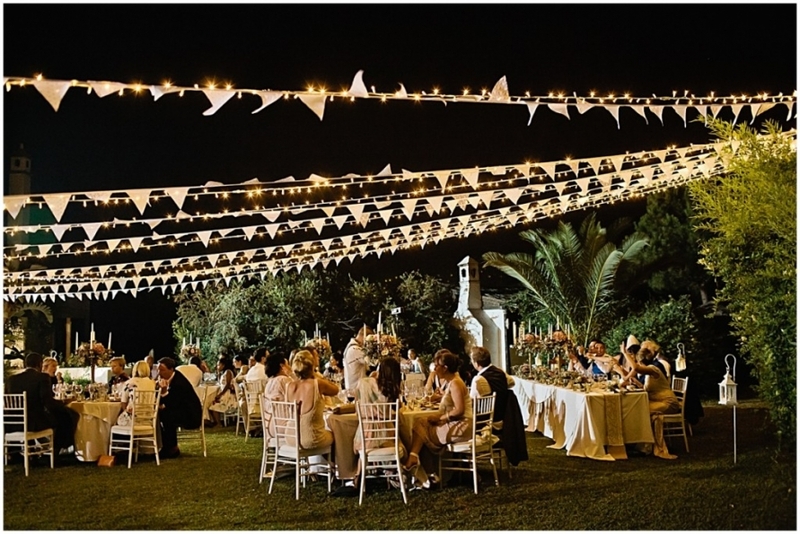 Venue Decorations - You can go with just something small for this for example just some fairly lighting to create a beautiful atmosphere or some hanging buntin or paper lanterns. 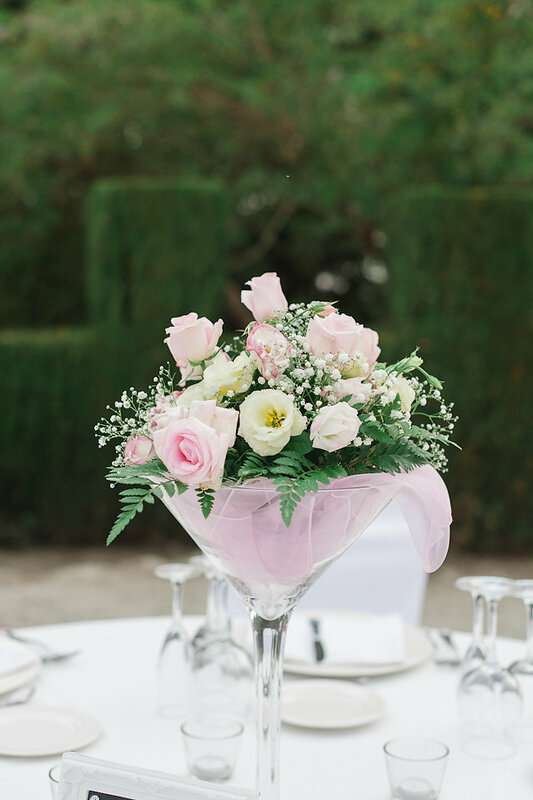 Just these small little touches at your venue will transform it into the perfect wedding reception. 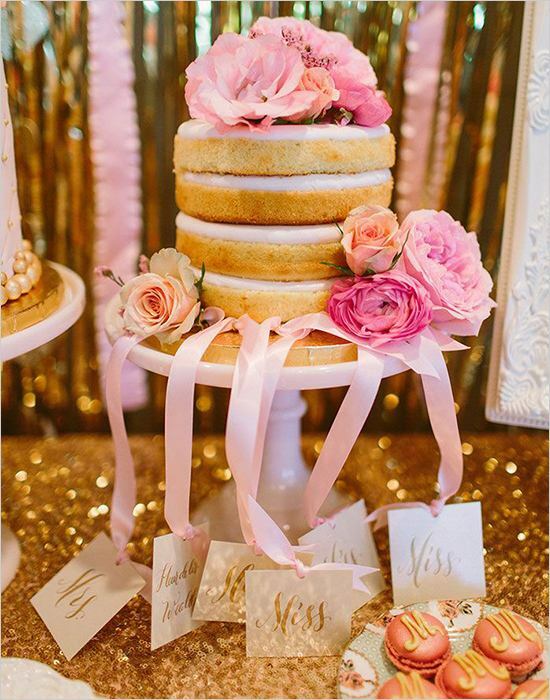 Ceremony Decorations - Just adding a sash to the chair can make all the difference in creating the perfect look for your ceremony. 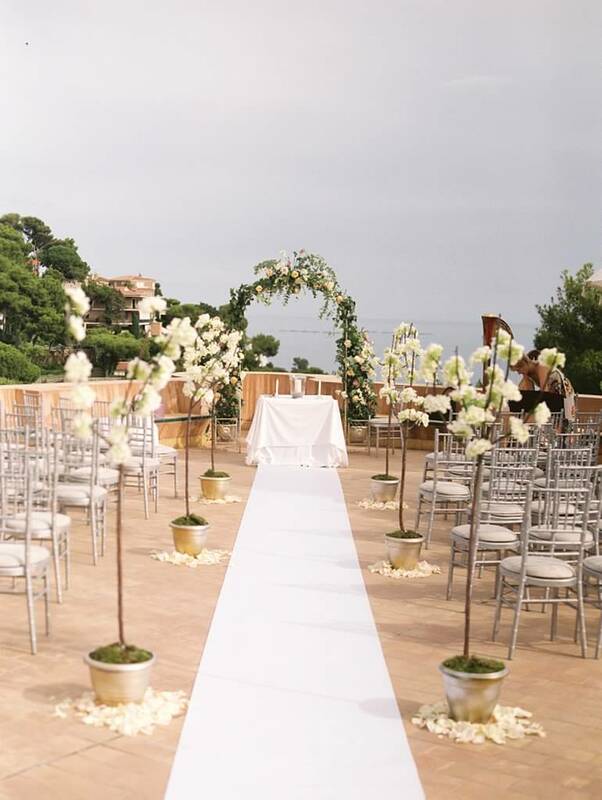 However you can also add some flowers to the chair, of course your red carpet entrance and then maybe some decoration along the isle too. All create a real WOW factor. 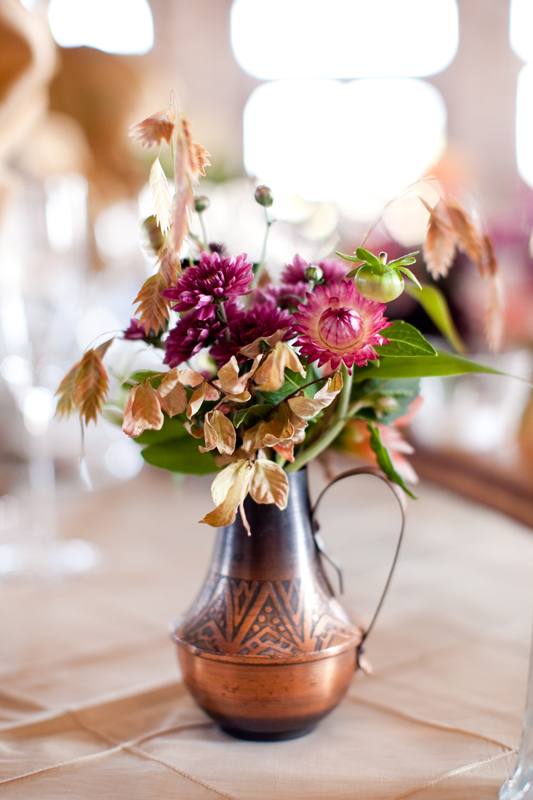 Table Decorations - This is where you can really start to get creative and add your personality to your wedding. With some many ideas out there I fully understand why some people arent sure where to start. 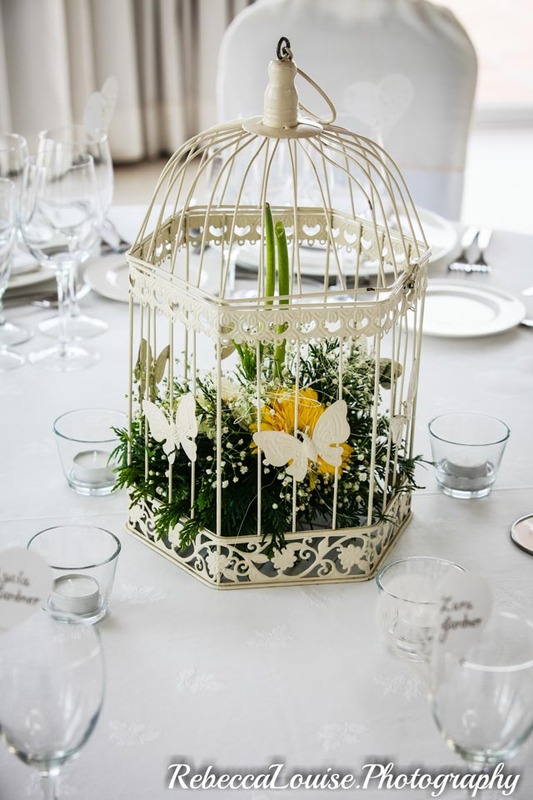 You can have floral centrepieces, lanterns, candles, vases, wishing trees, feathers to name a few all offering an amazing look for your wedding. And you can go as small and simple as you like or big and bold. 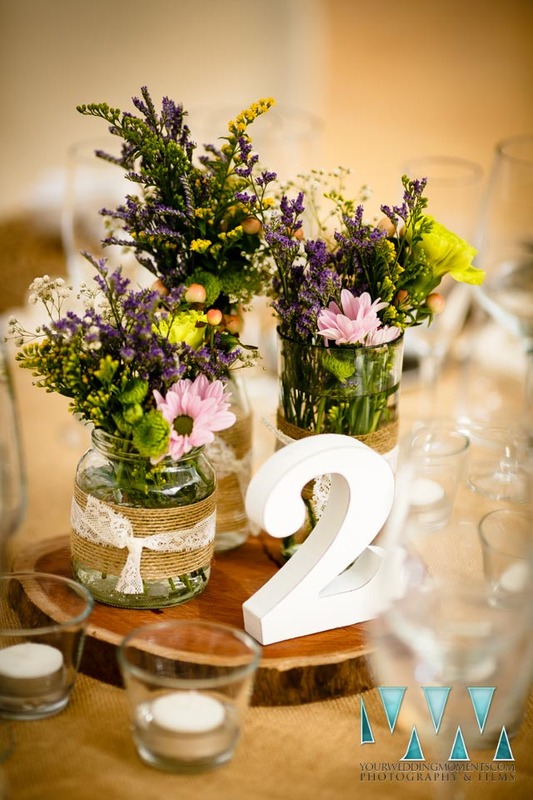 And then of course its then adding the other small touches to the tables - Table numbers, Favours, Menu and you might even take the opportunity of adding the guest book to each table. 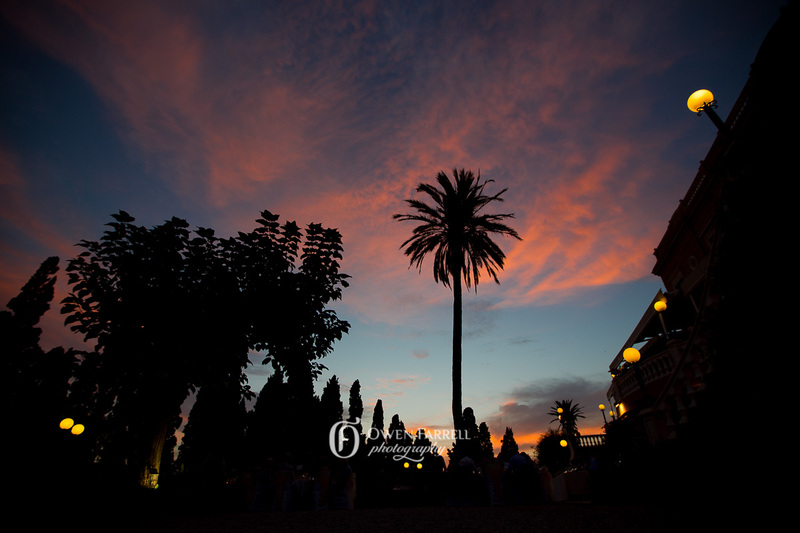 ©2019 Perfect Spanish Weddings Limited. All rights reserved. All content on this site has been copyrighted.